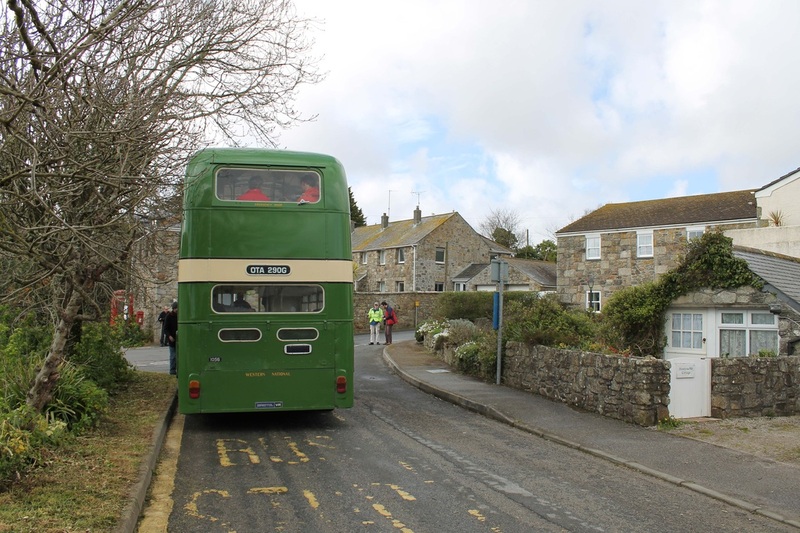 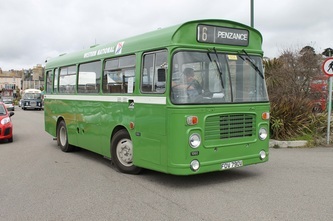 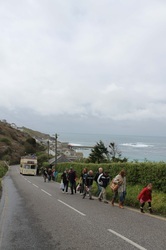 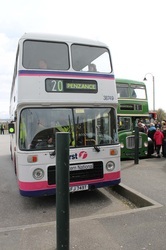 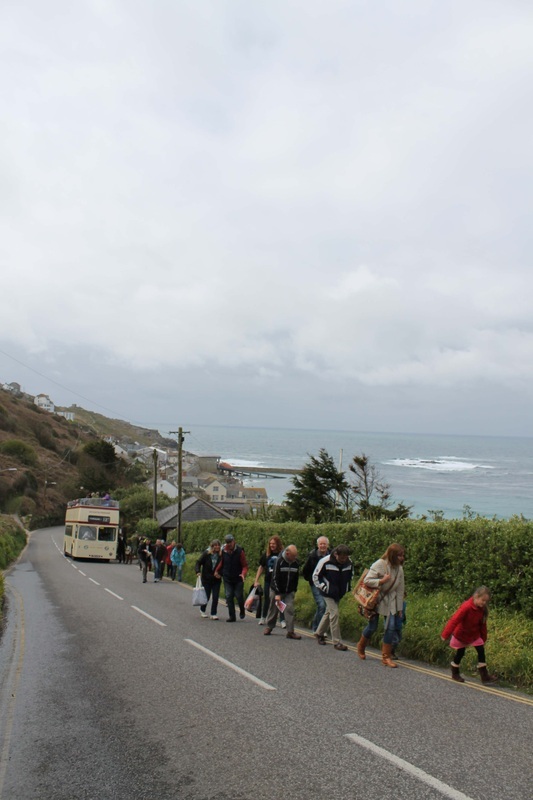 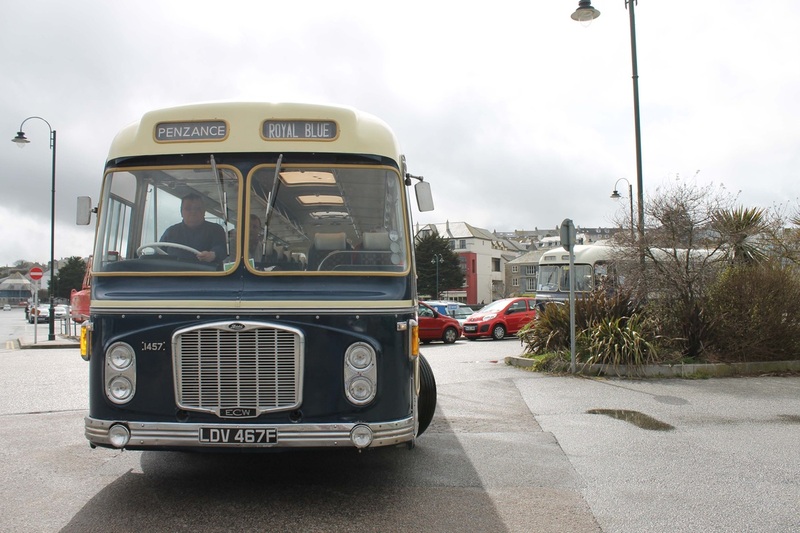 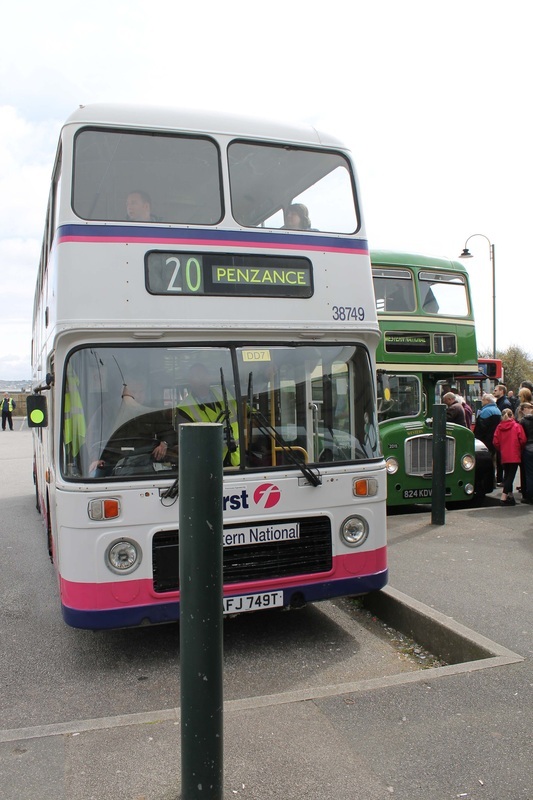 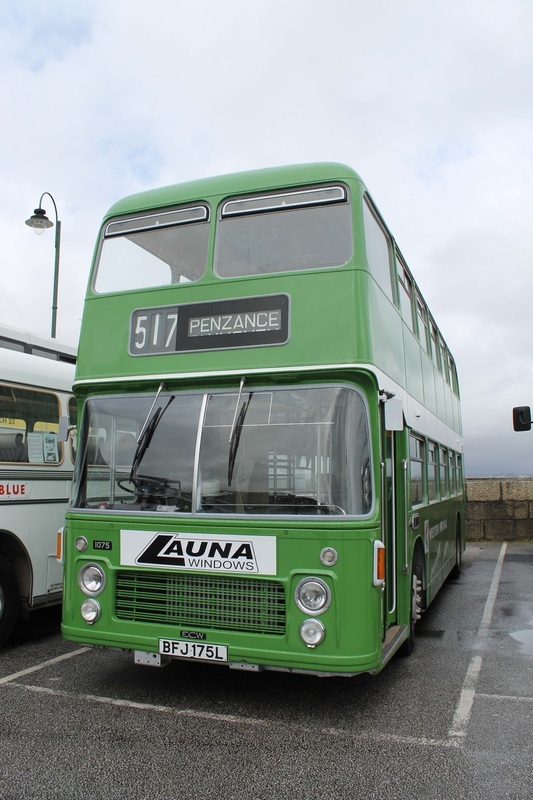 The Penzance running day is becoming a yearly event for us. 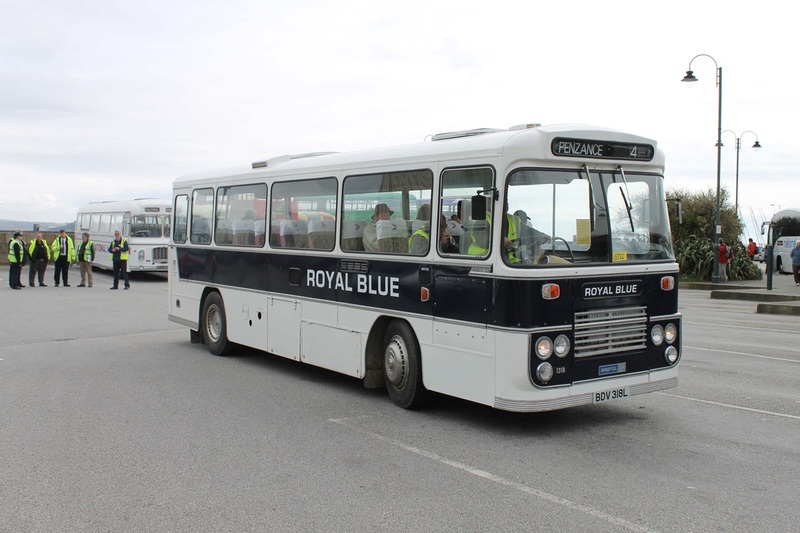 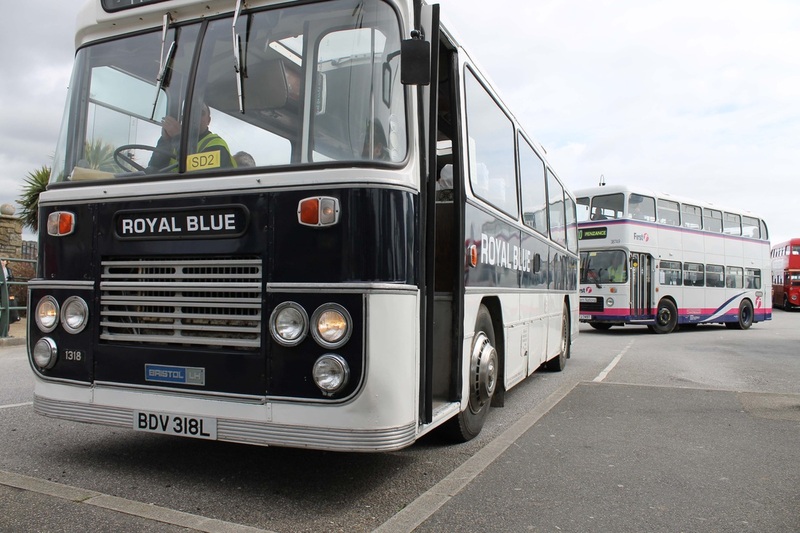 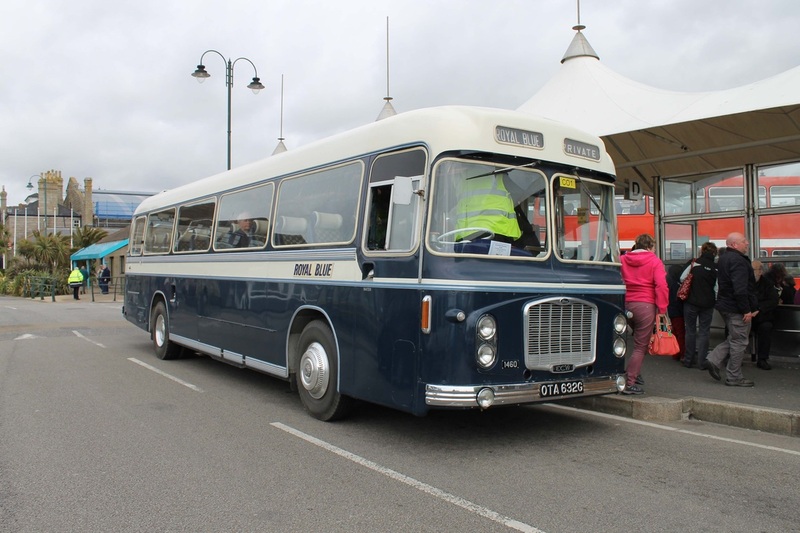 On long journey's we usually take the car as we have to remember that the majority of our vehicles are 40+ years old however, this year we were joined by some of our very close friends from the Hants & Surrey Bristol RE Group in showing off our Royal Blue Bristol RE, LDV 467F. 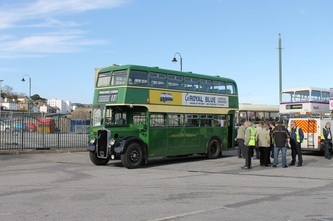 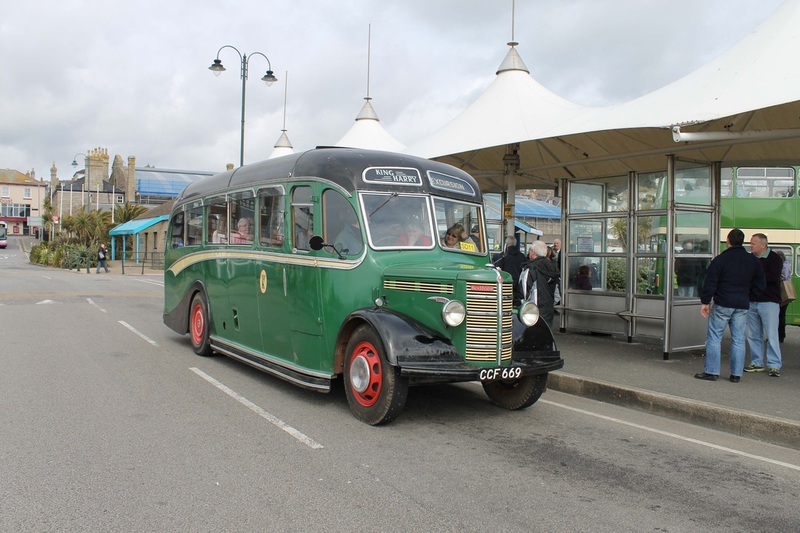 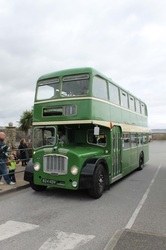 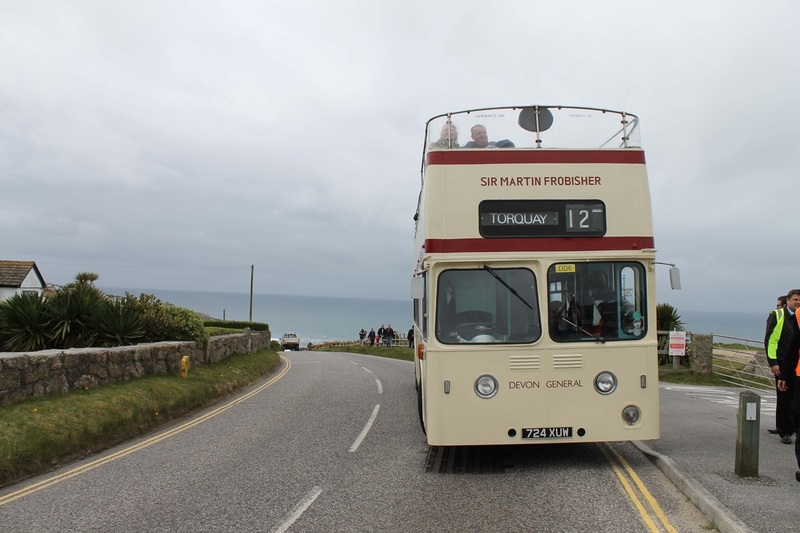 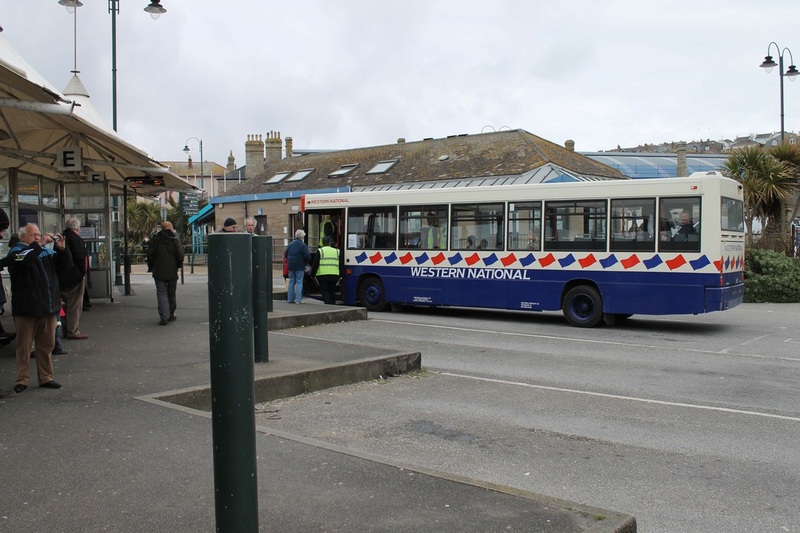 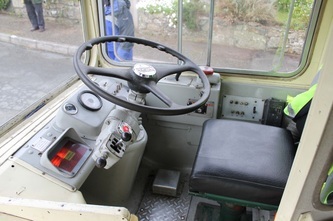 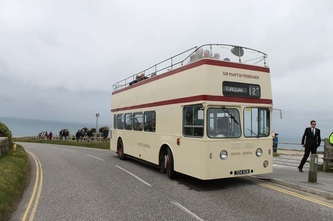 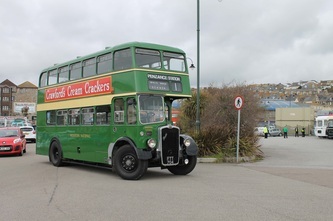 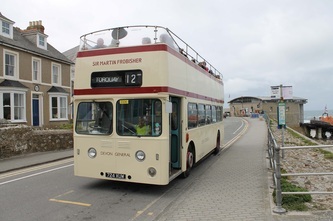 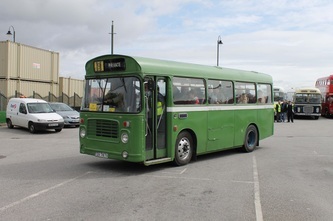 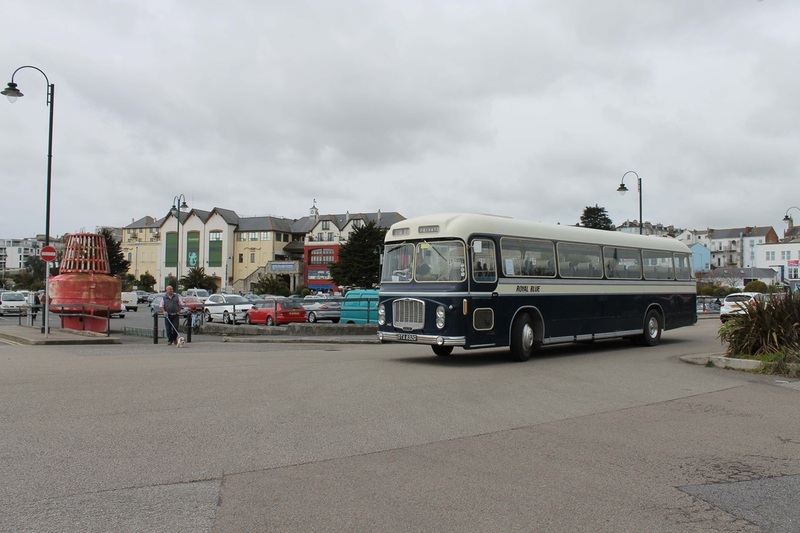 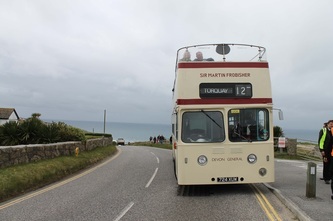 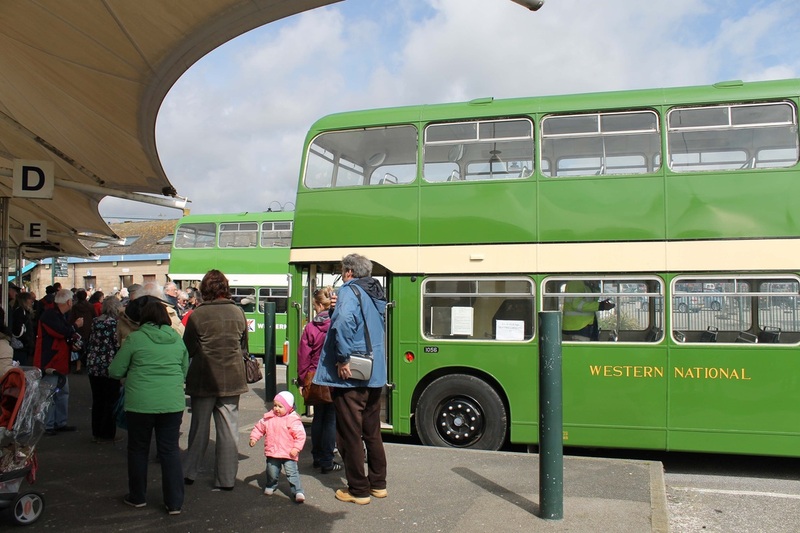 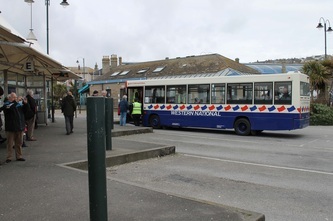 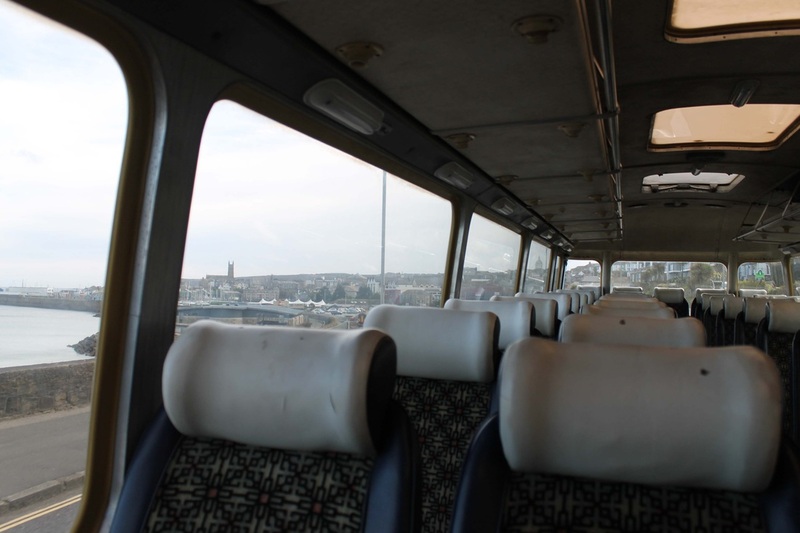 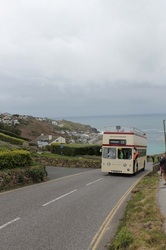 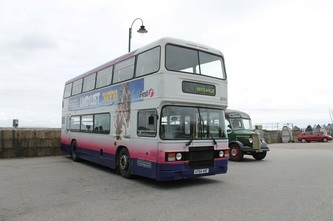 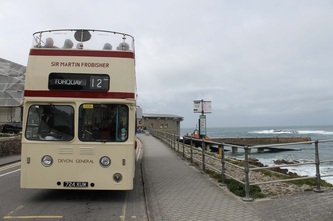 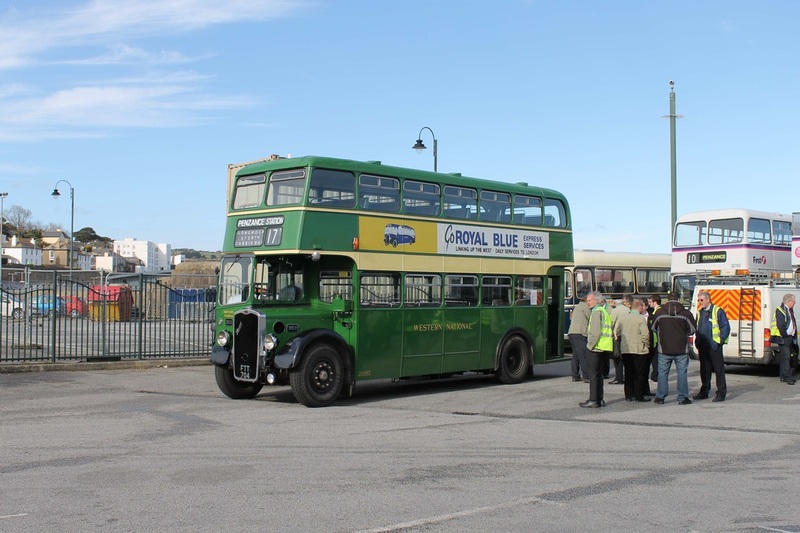 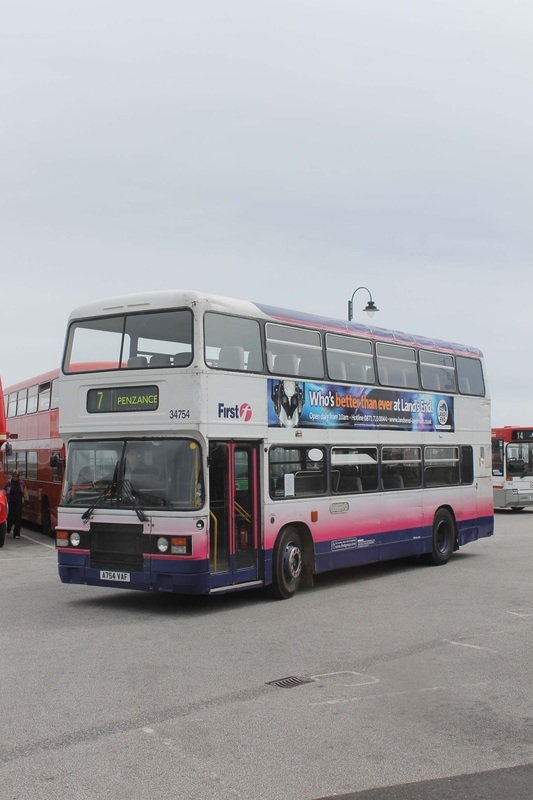 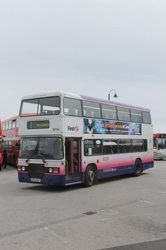 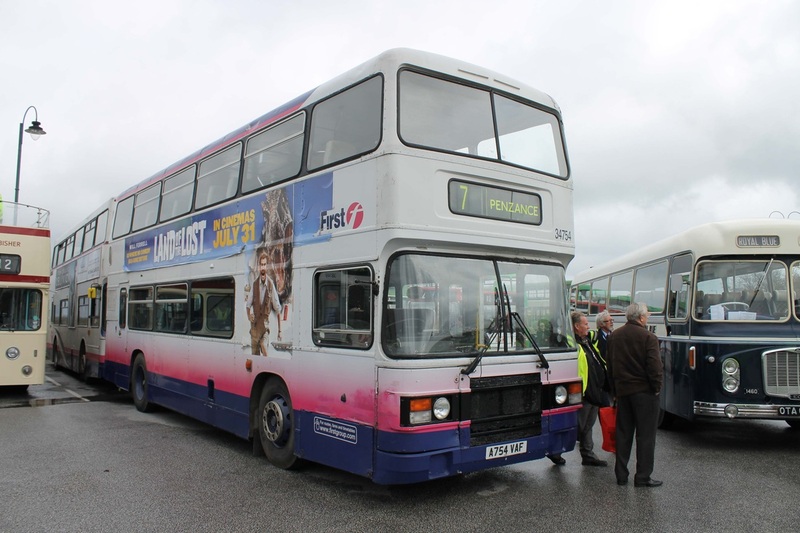 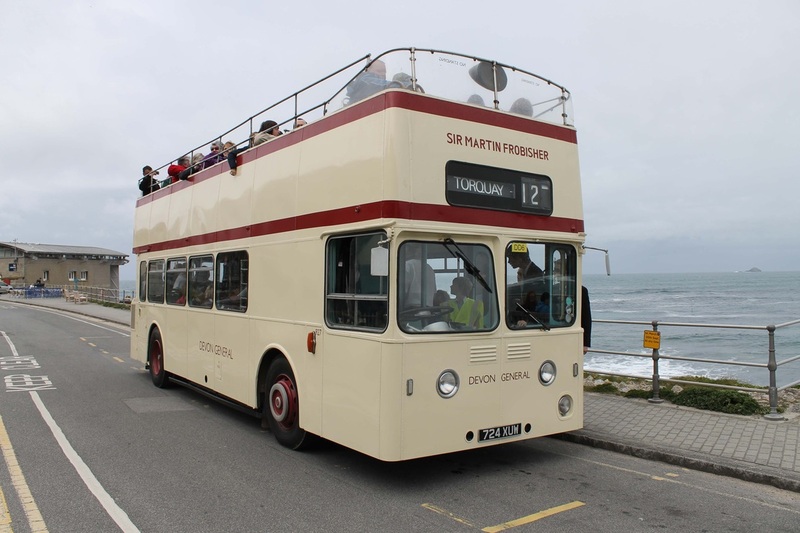 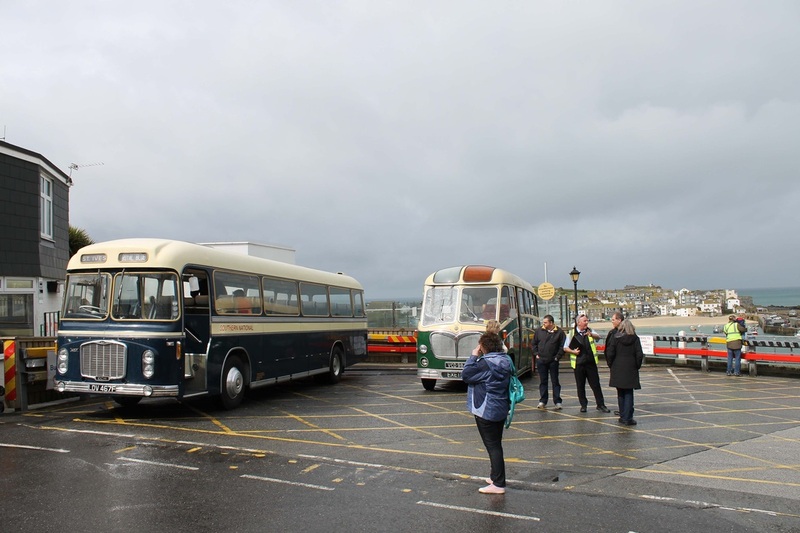 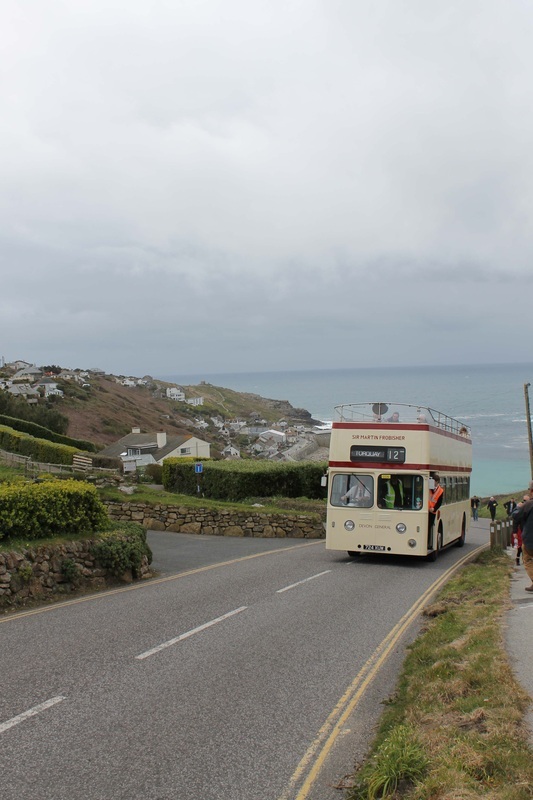 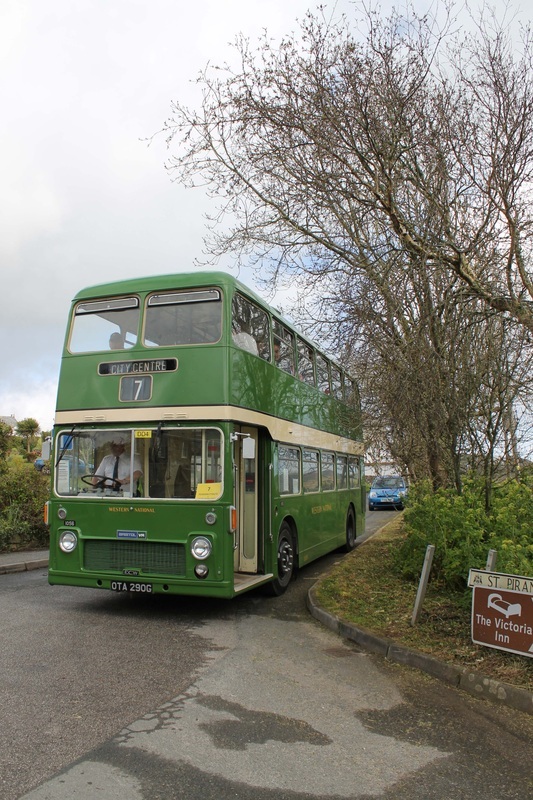 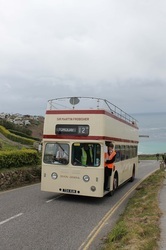 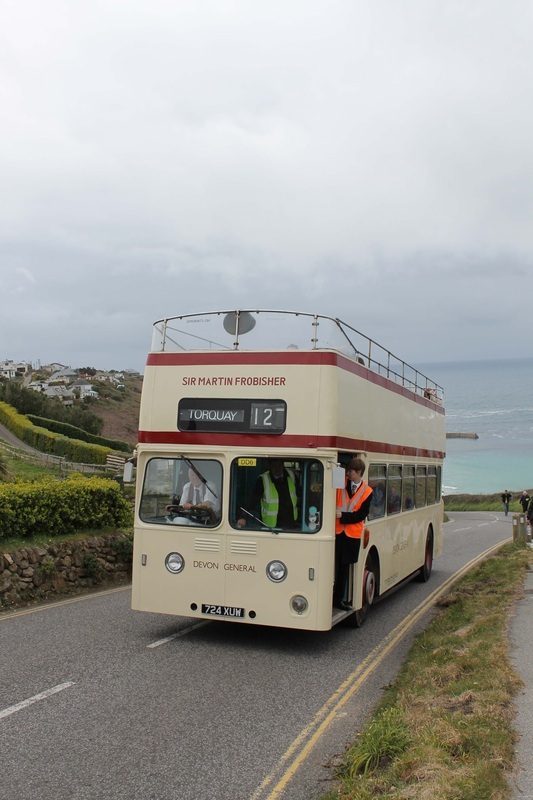 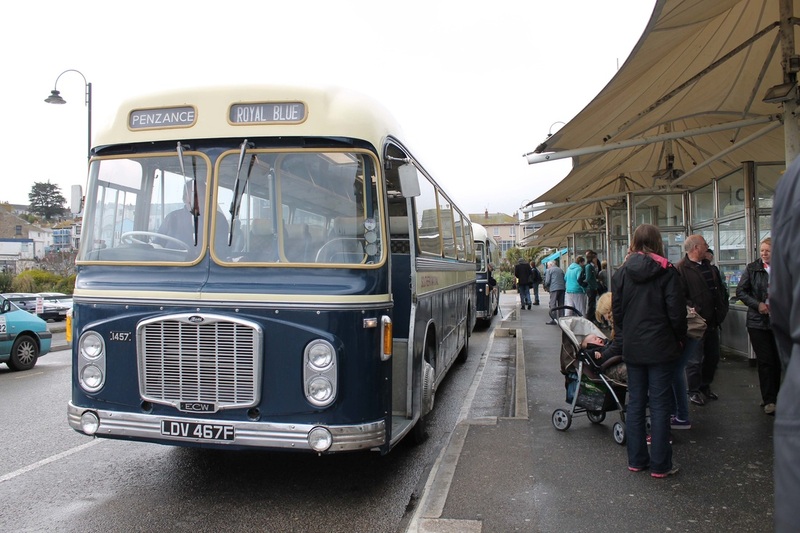 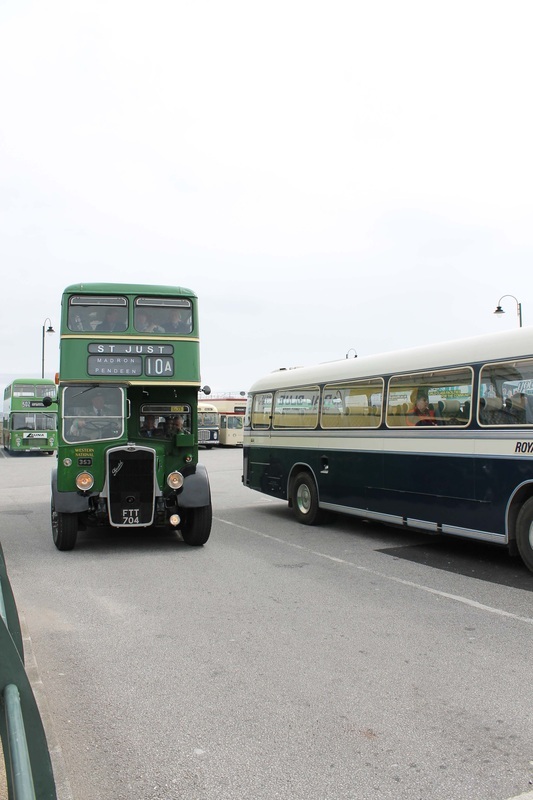 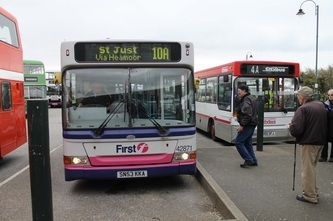 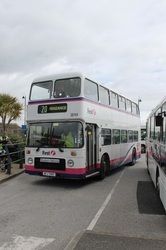 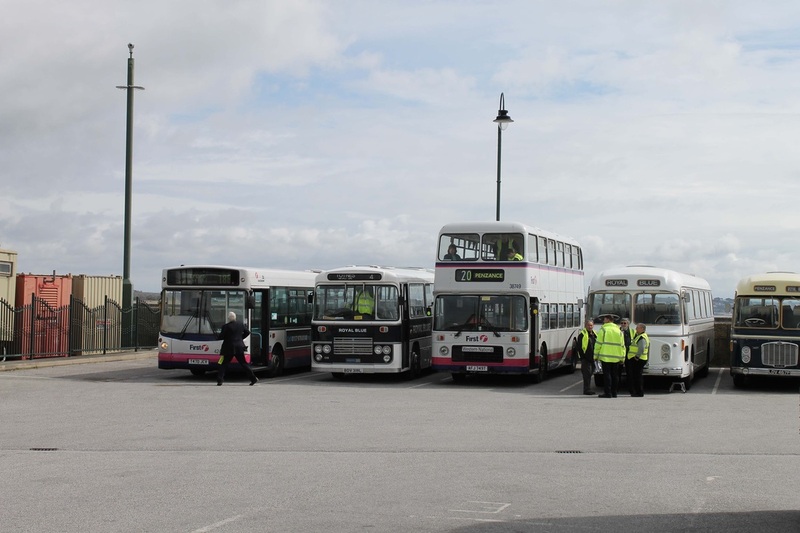 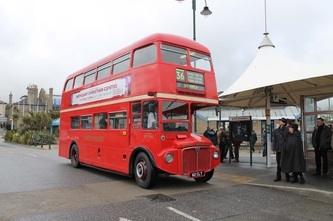 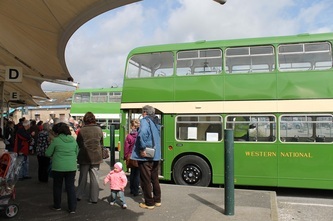 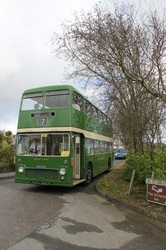 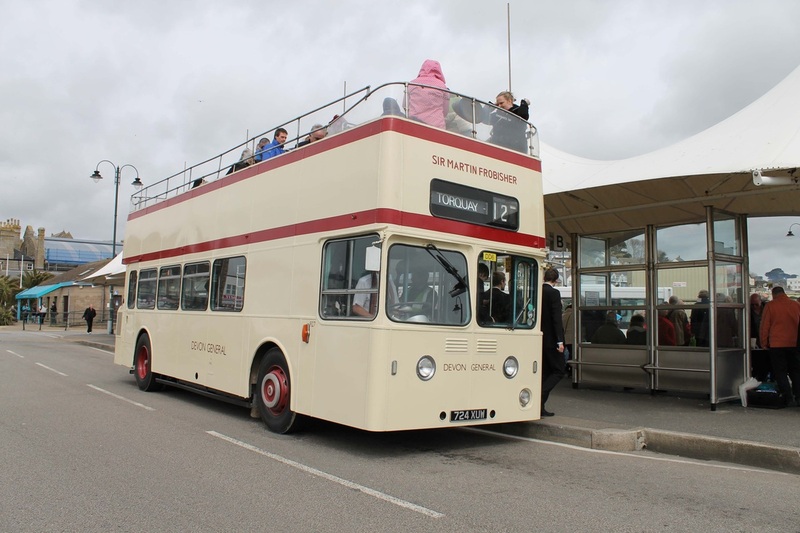 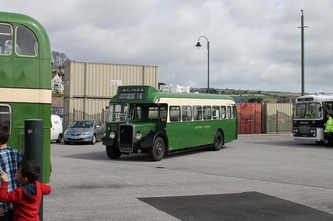 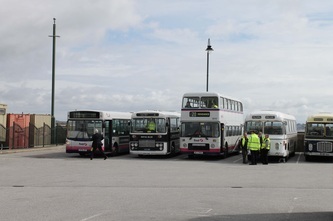 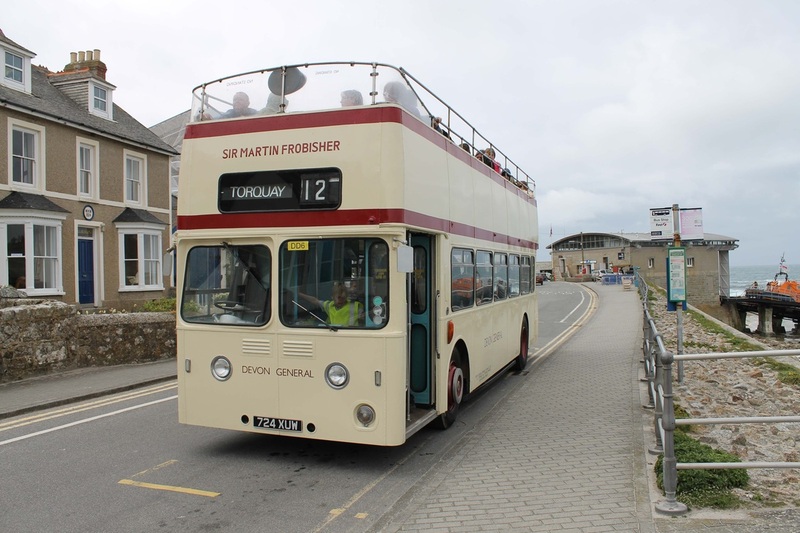 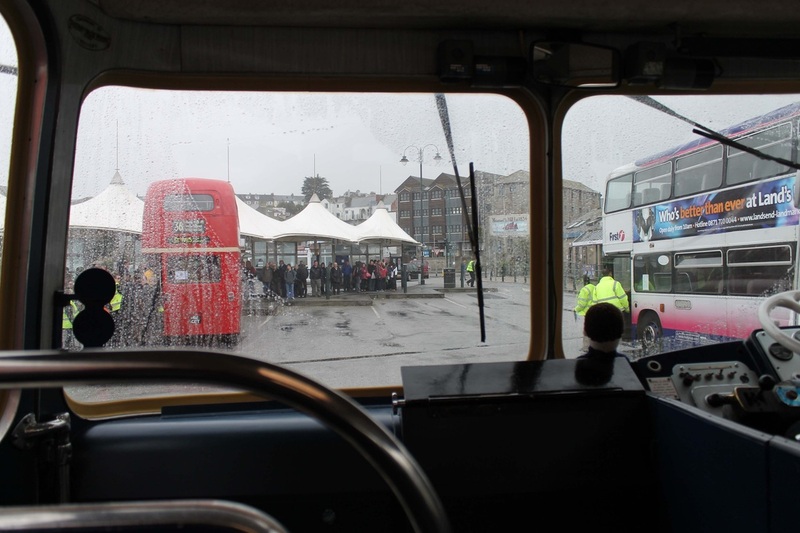 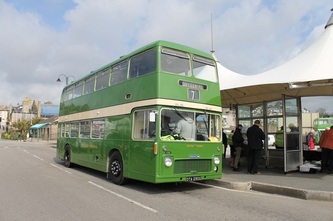 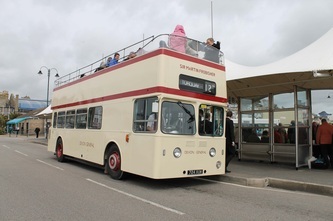 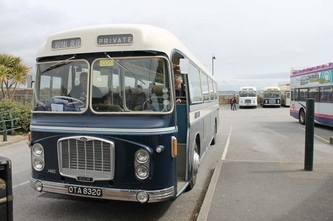 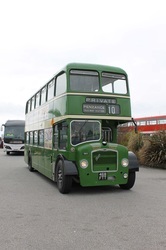 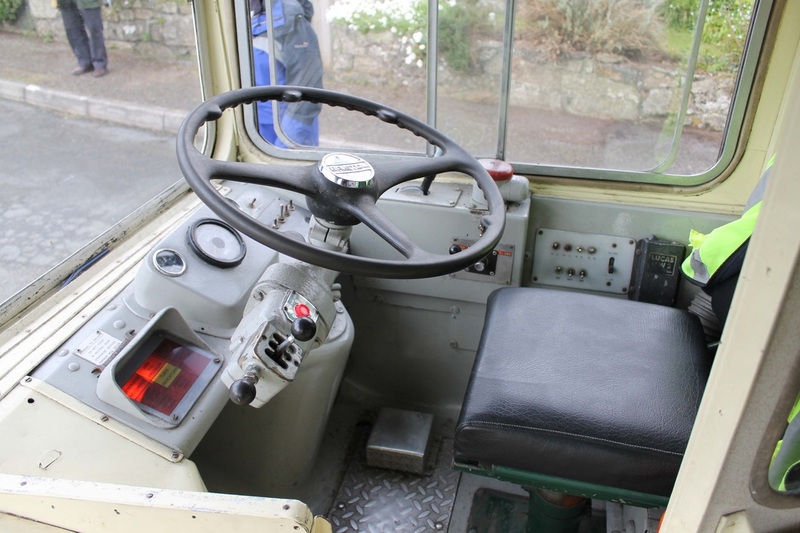 The running day itself ran very well, our vehicle did not run any official journey's as it was on static display only, this mean't we were able to enjoy the wide variety of vehicles on offer for rides. 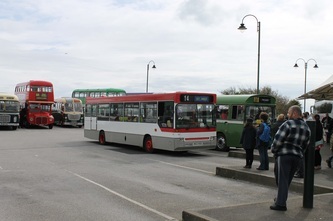 As per last year, a variety of vehicles made the day very successful. 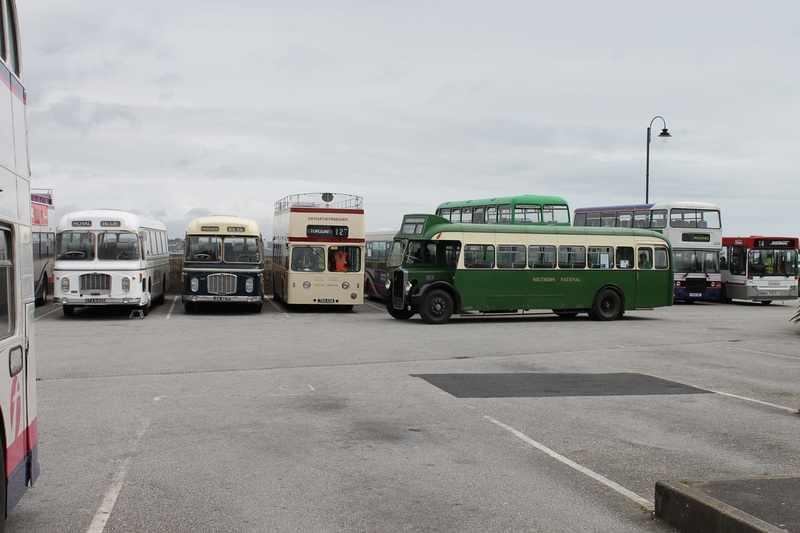 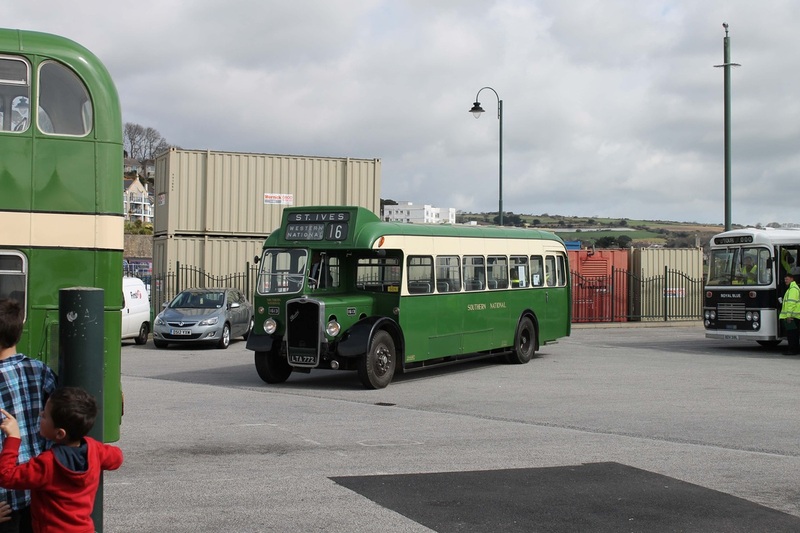 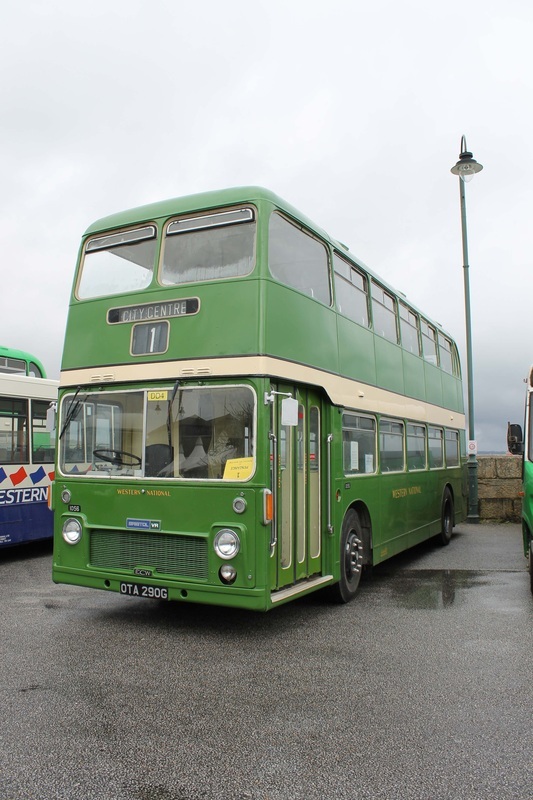 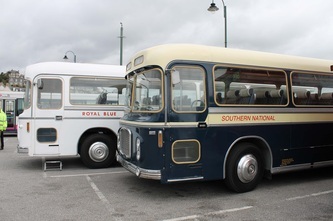 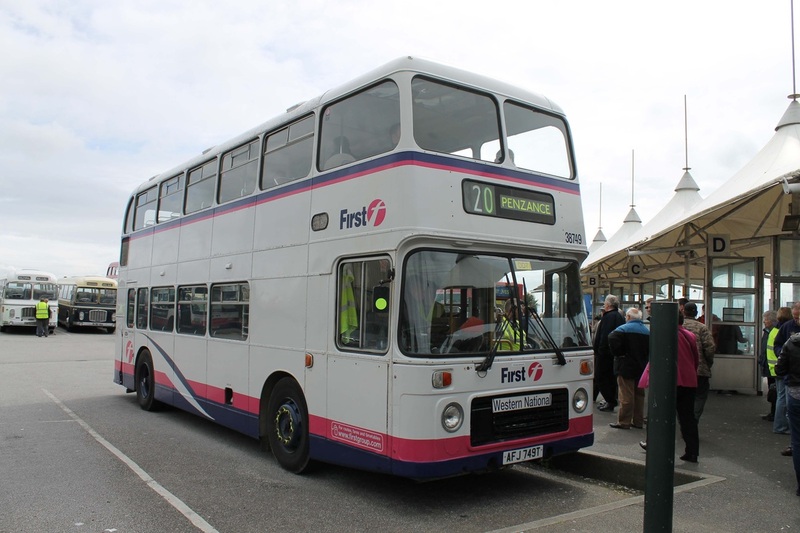 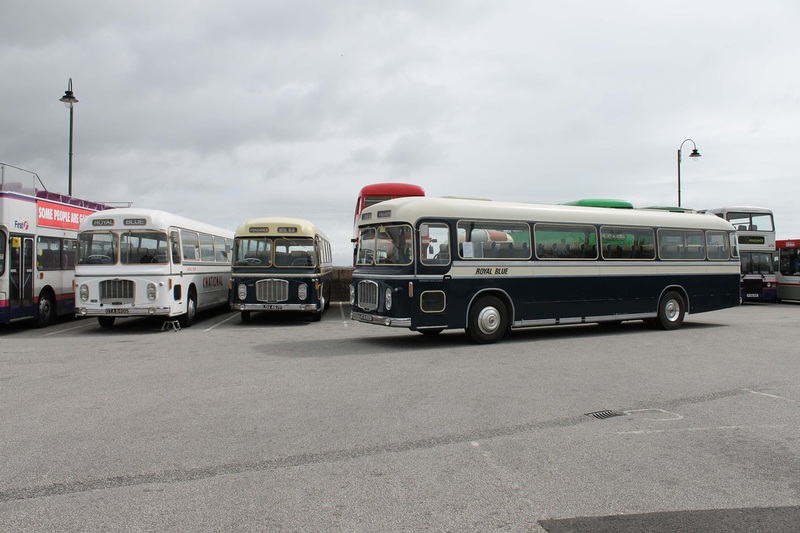 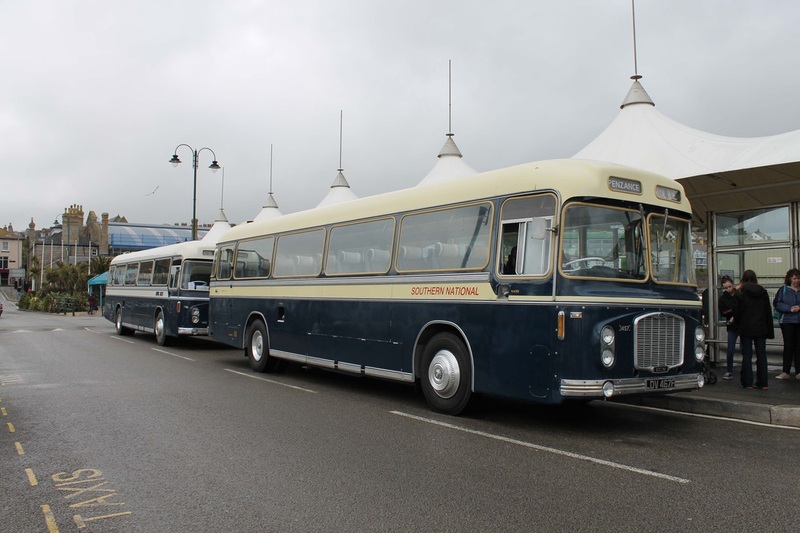 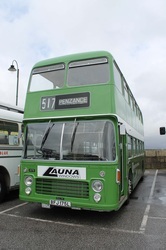 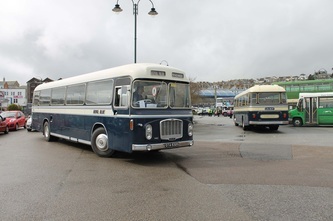 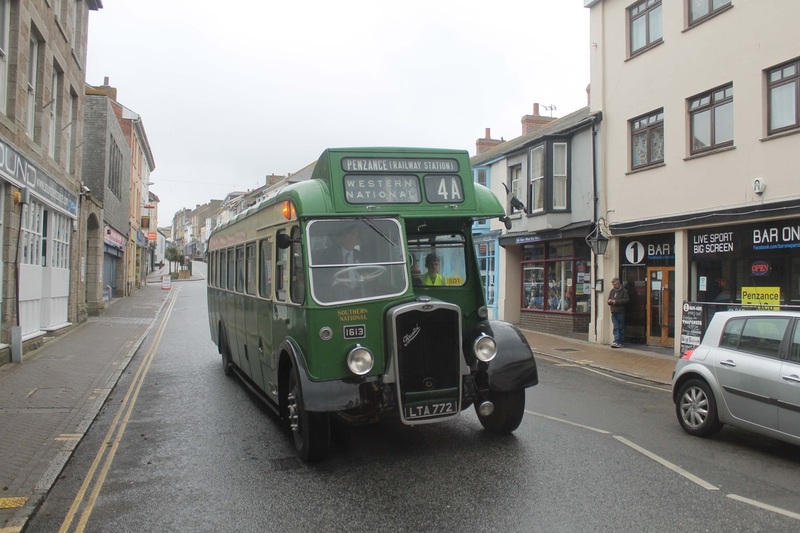 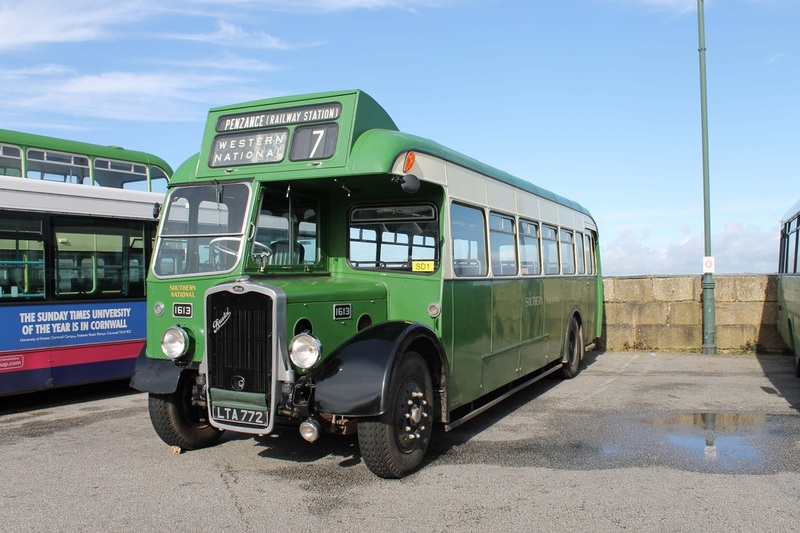 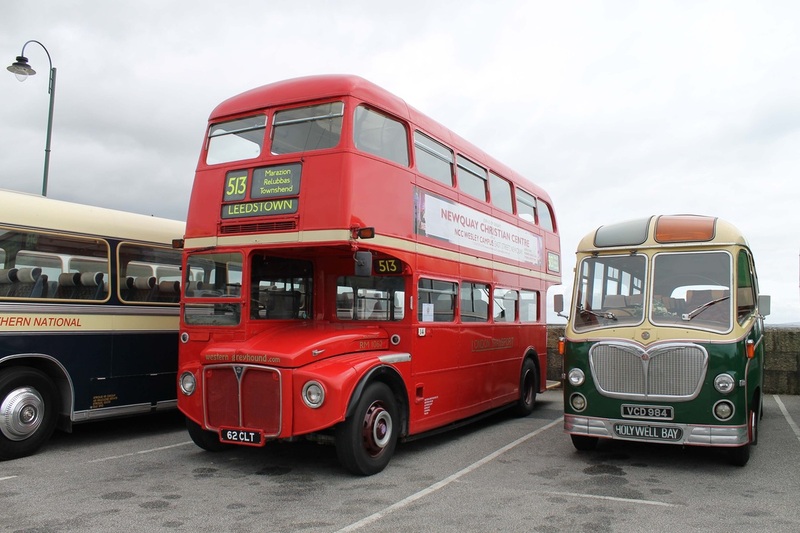 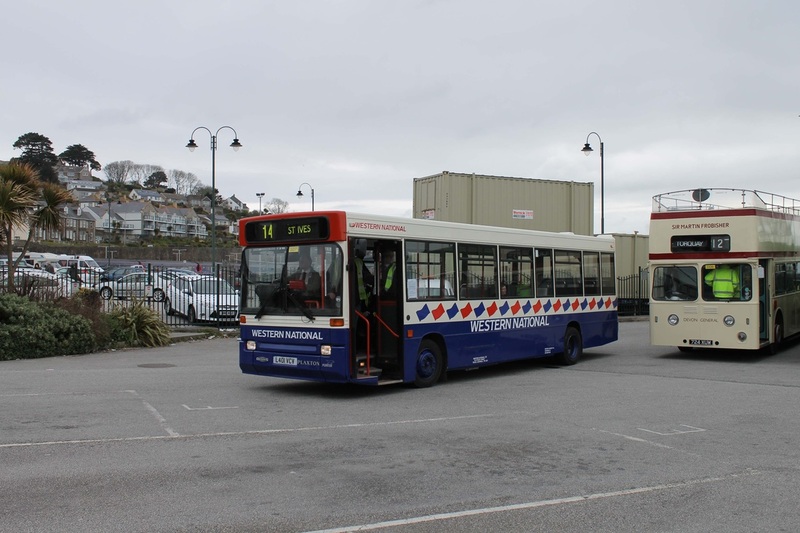 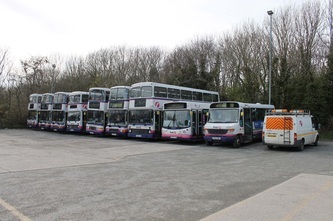 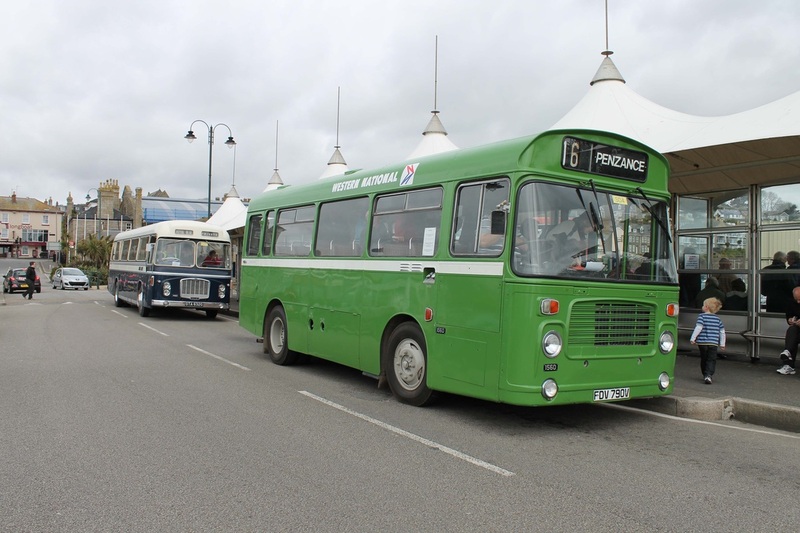 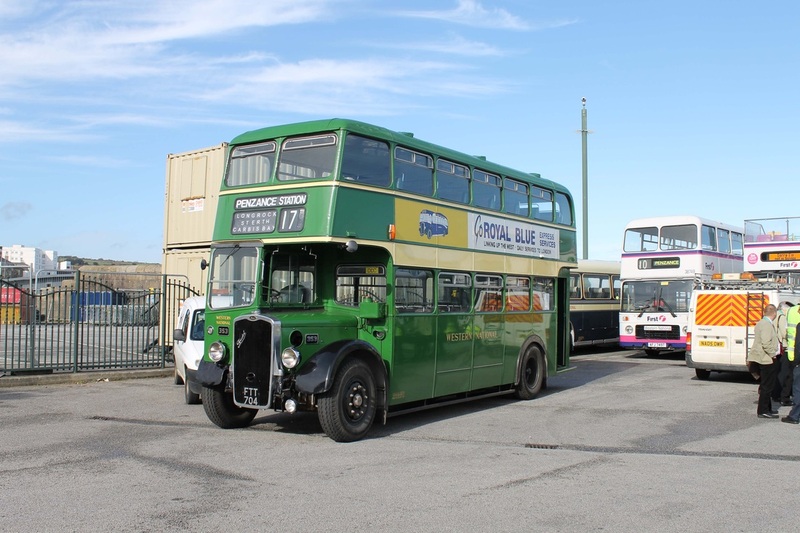 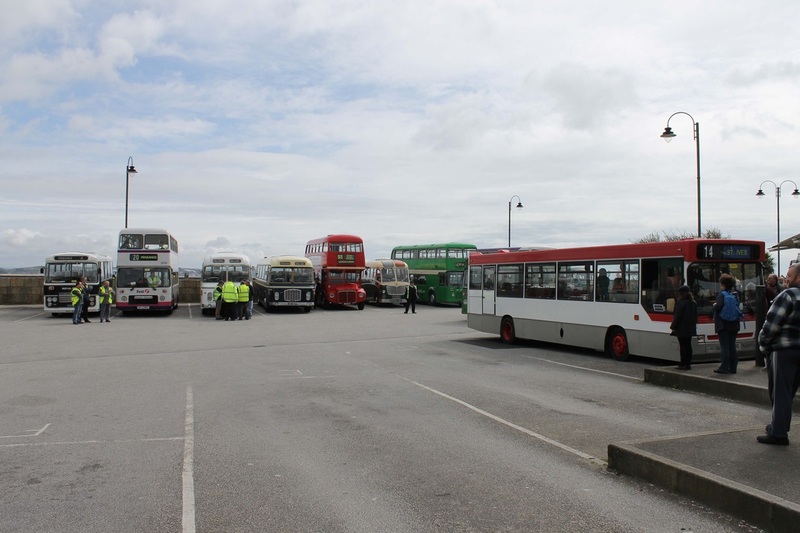 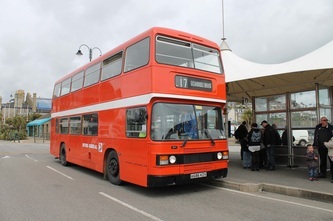 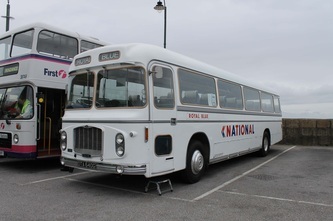 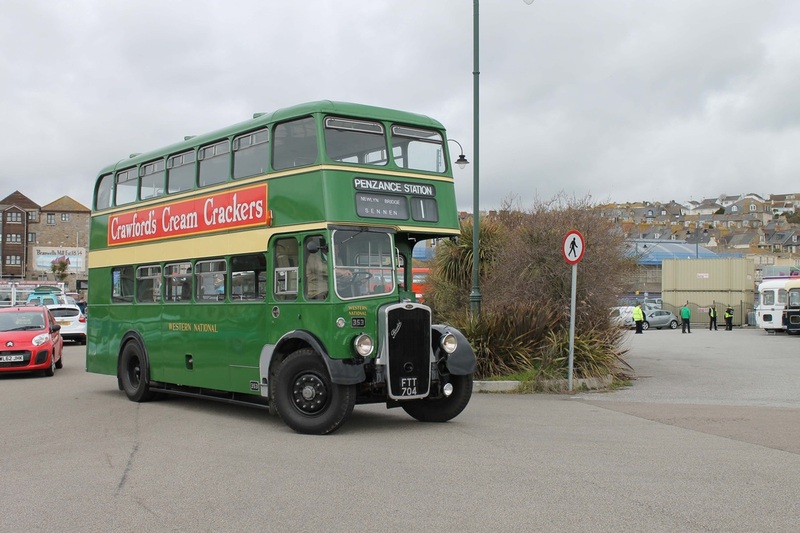 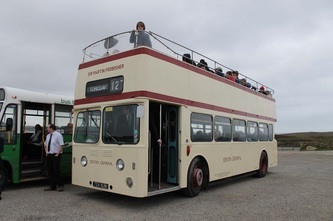 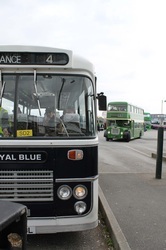 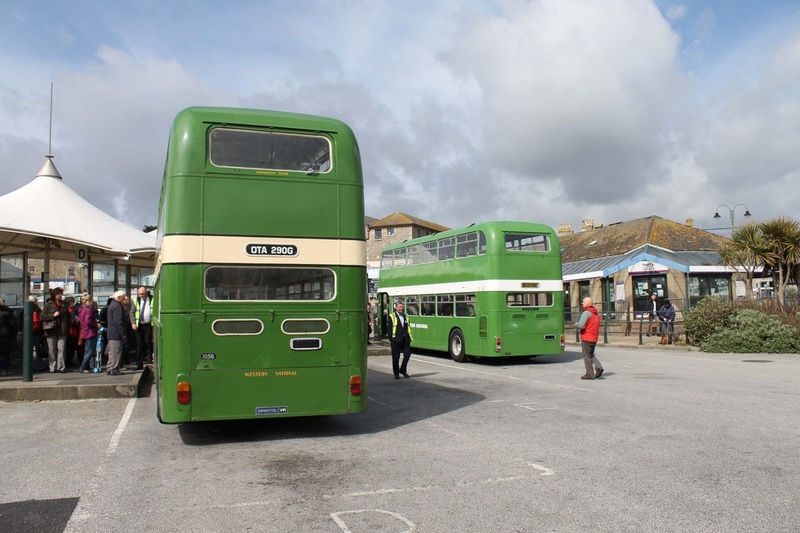 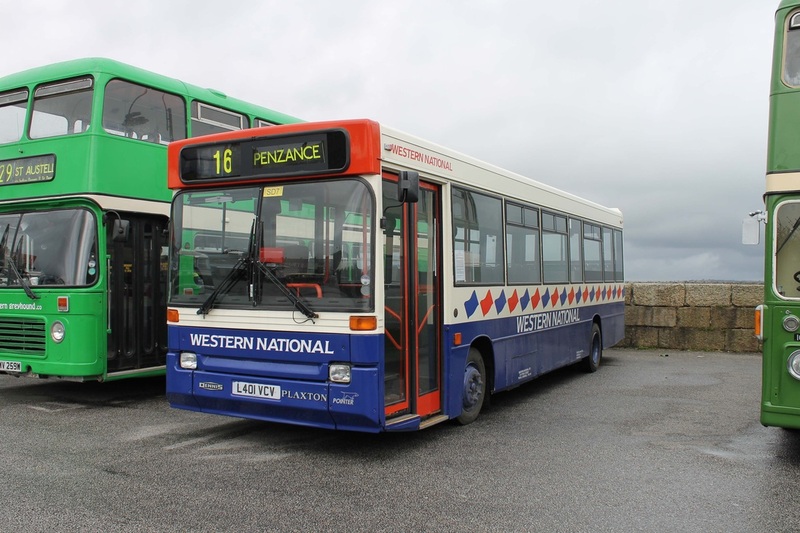 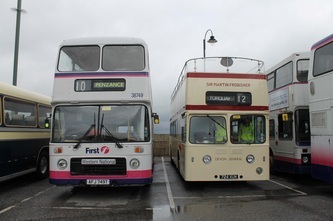 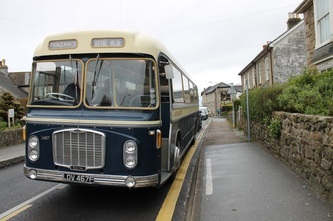 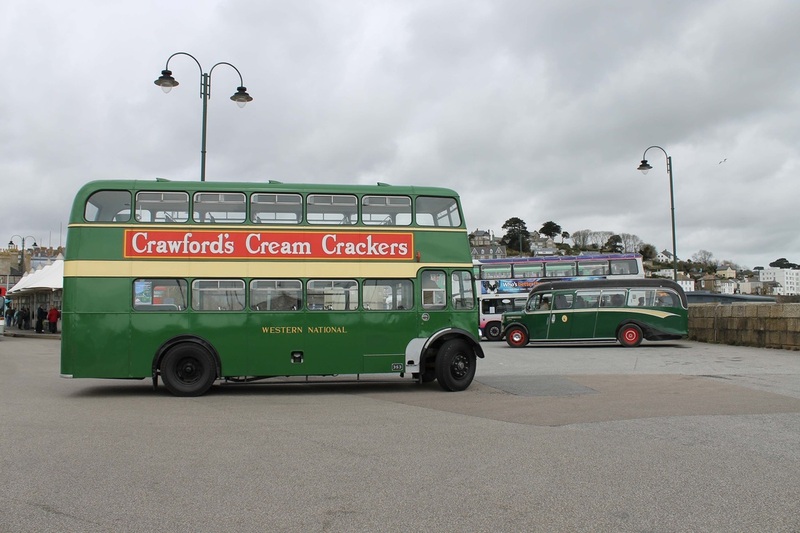 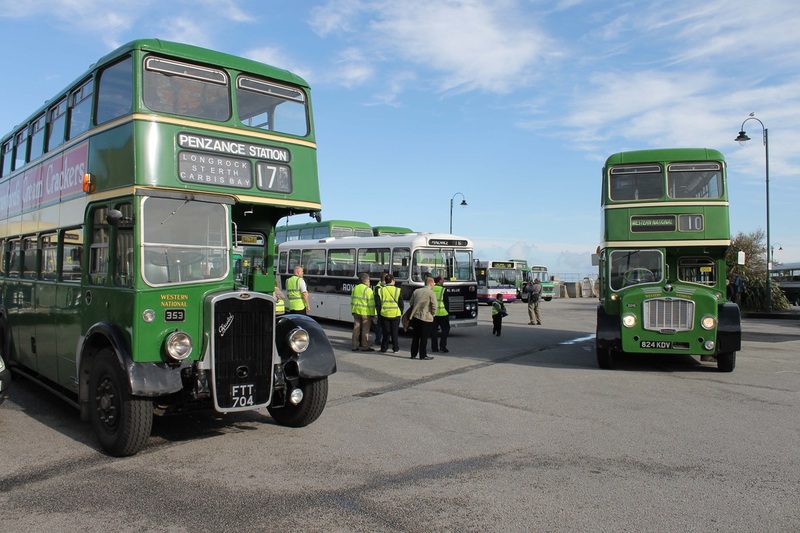 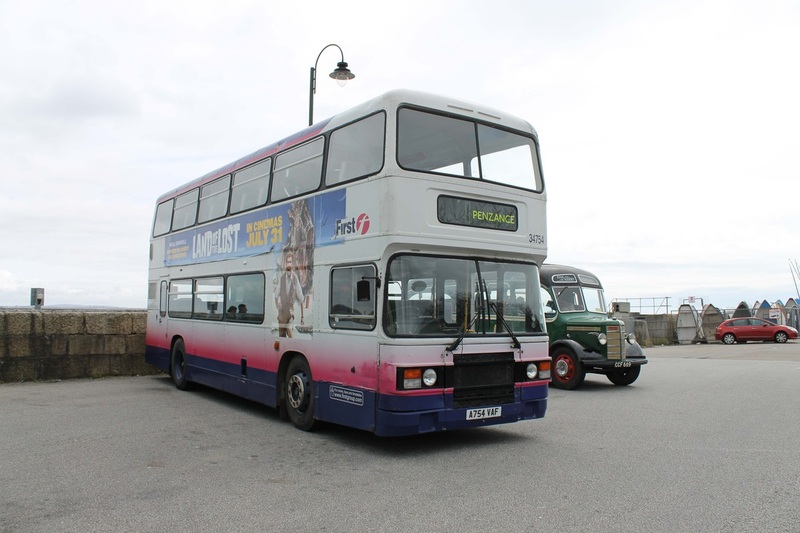 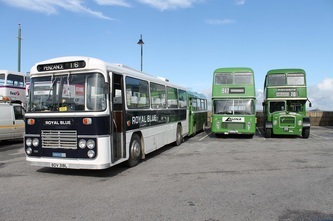 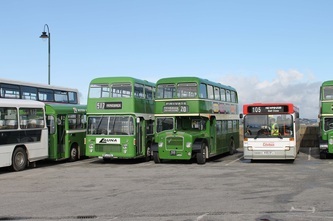 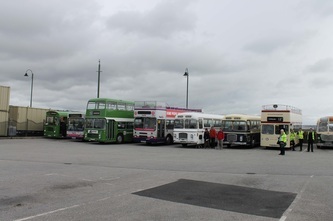 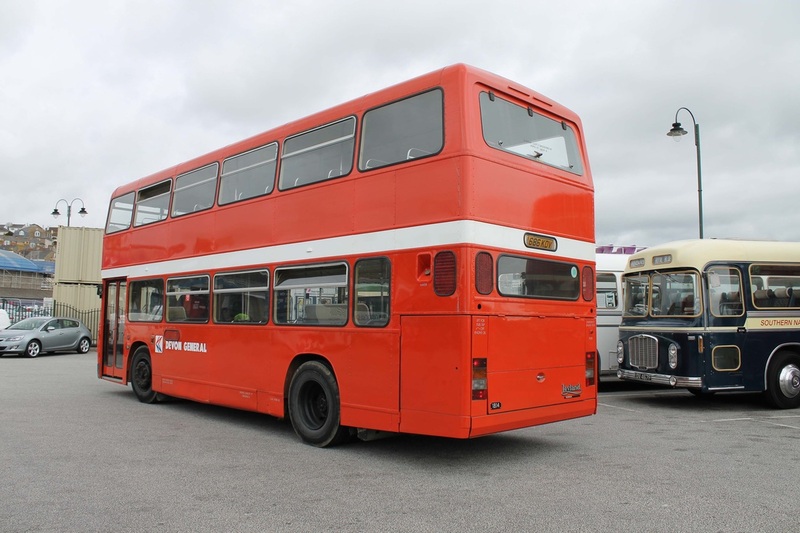 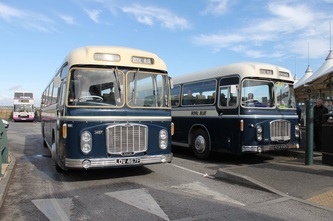 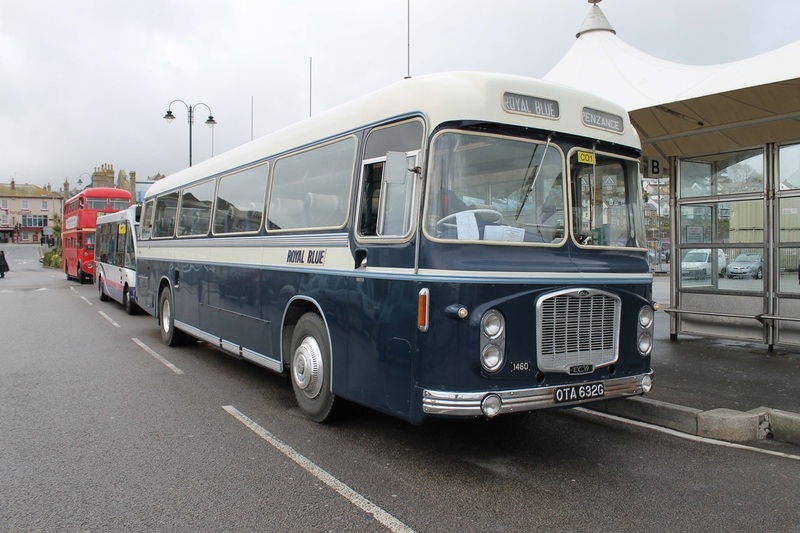 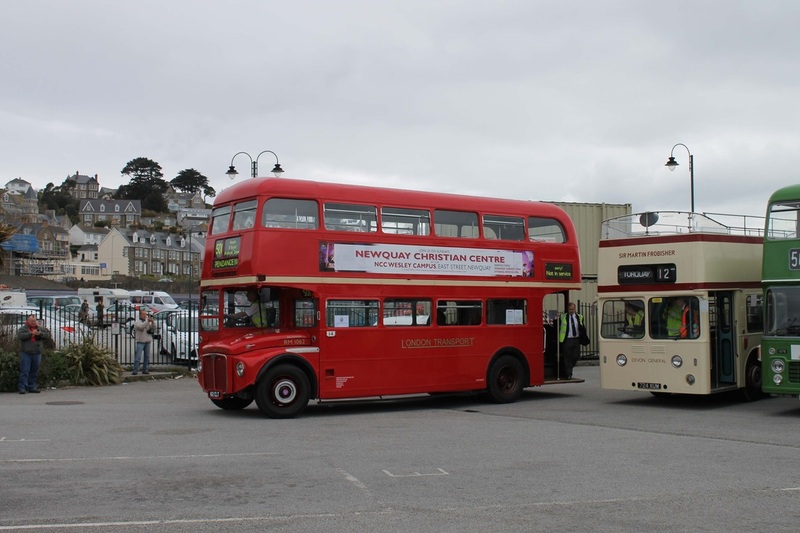 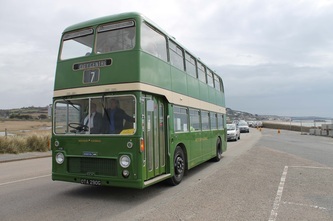 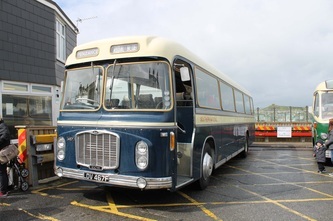 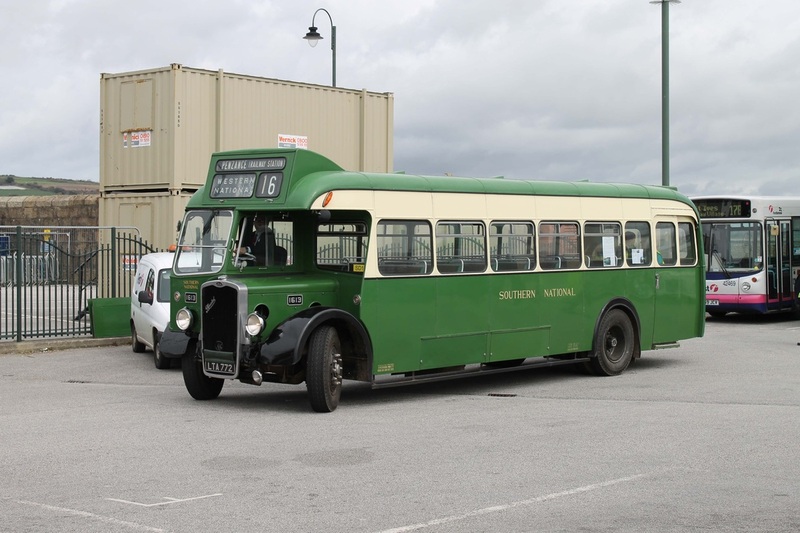 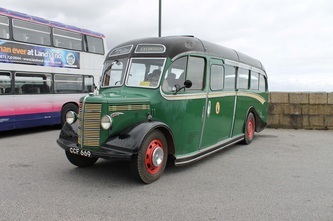 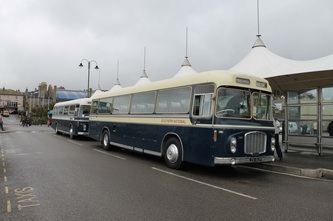 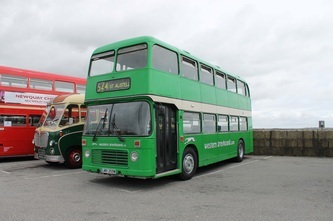 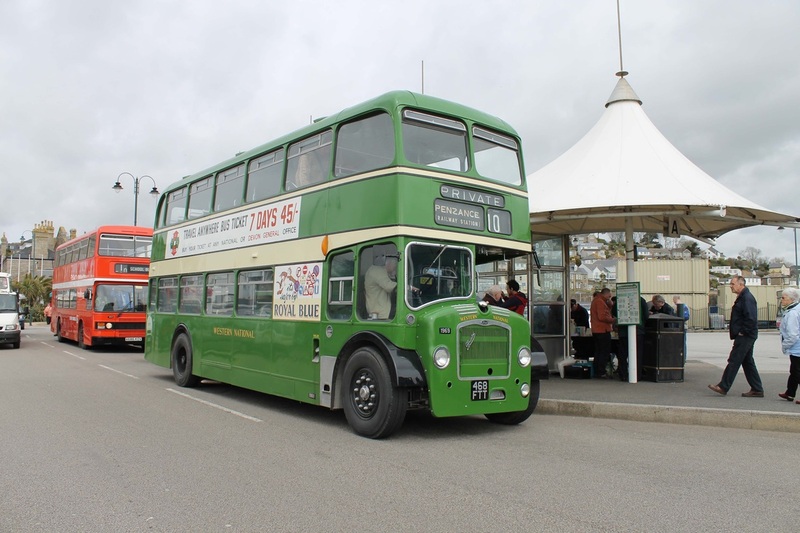 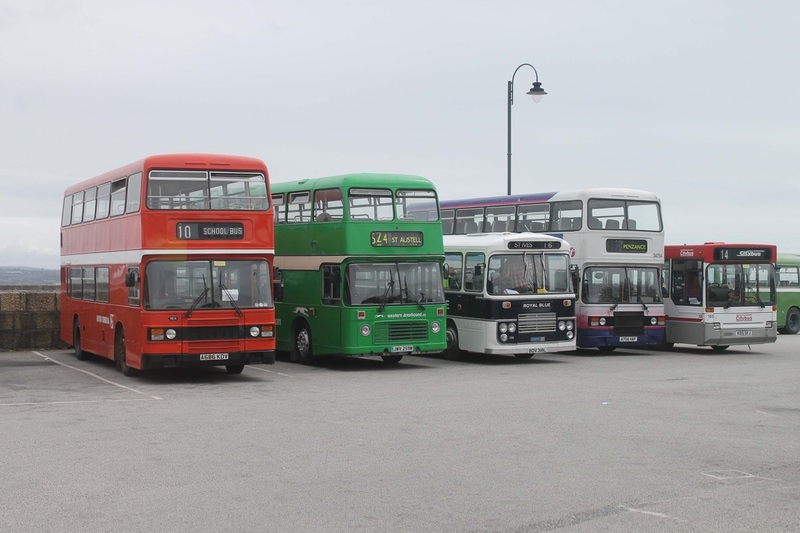 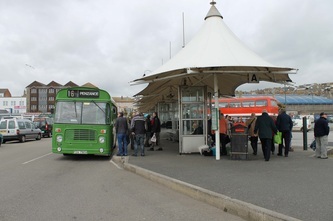 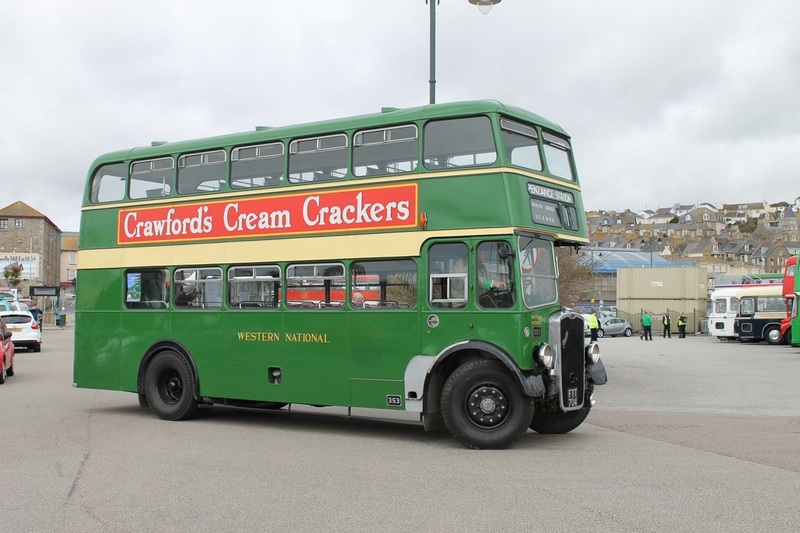 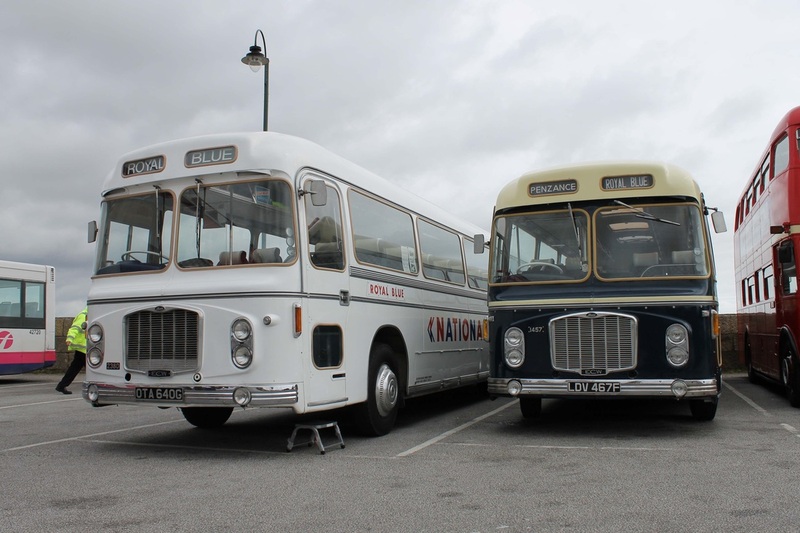 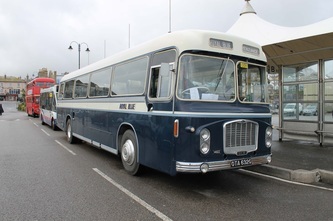 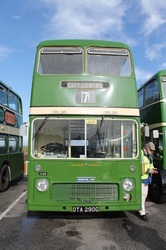 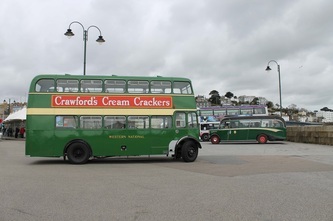 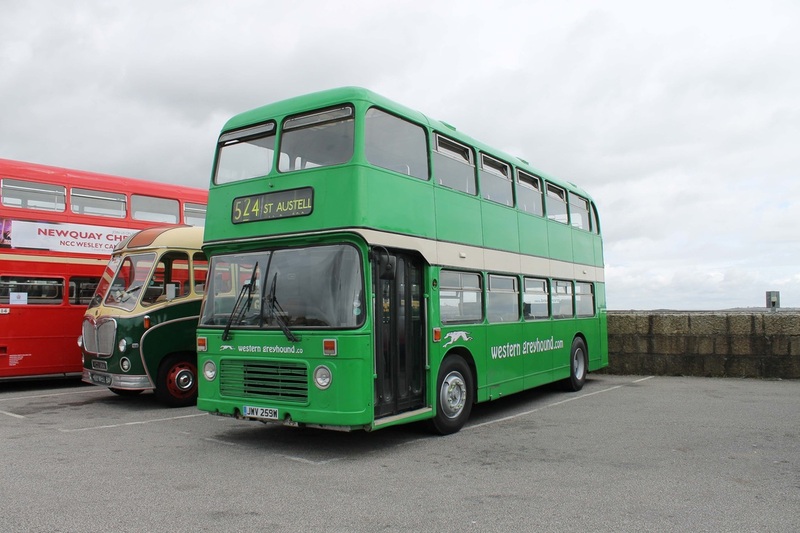 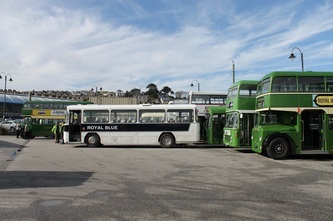 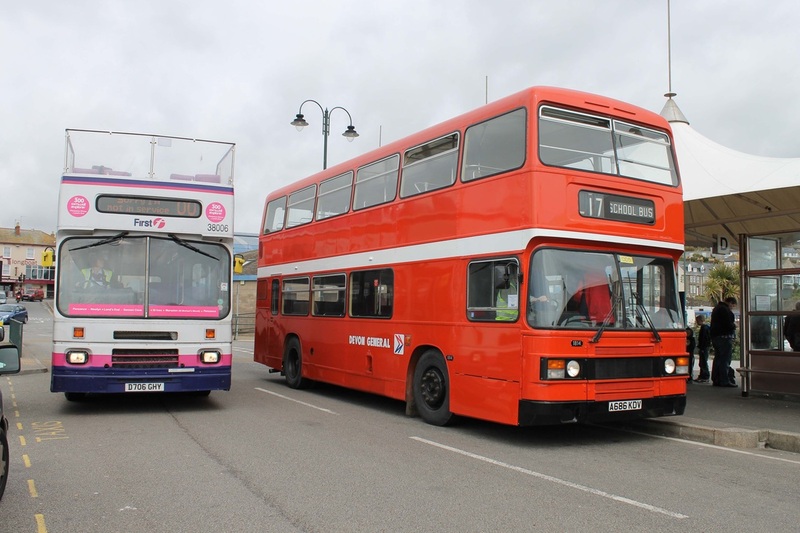 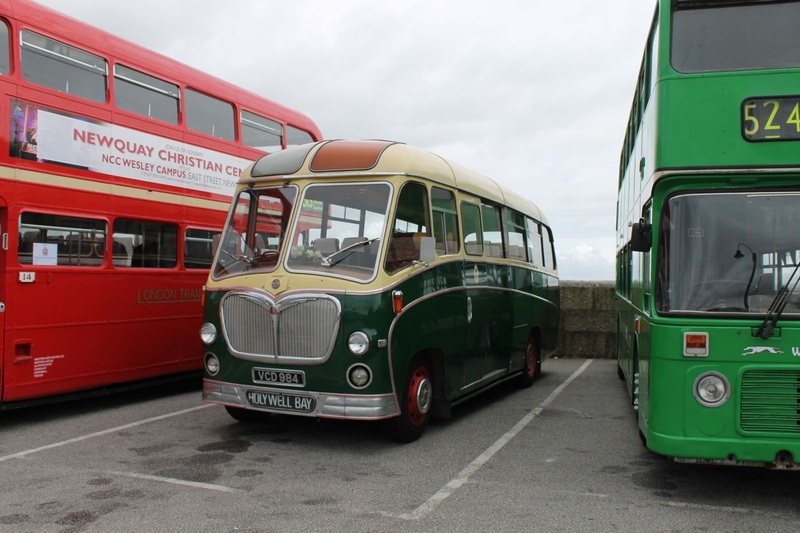 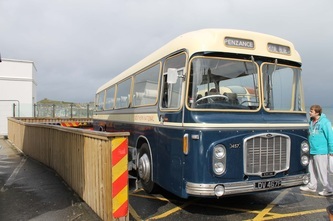 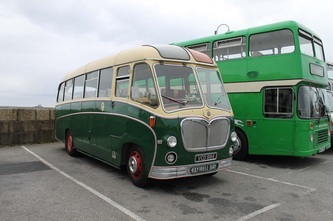 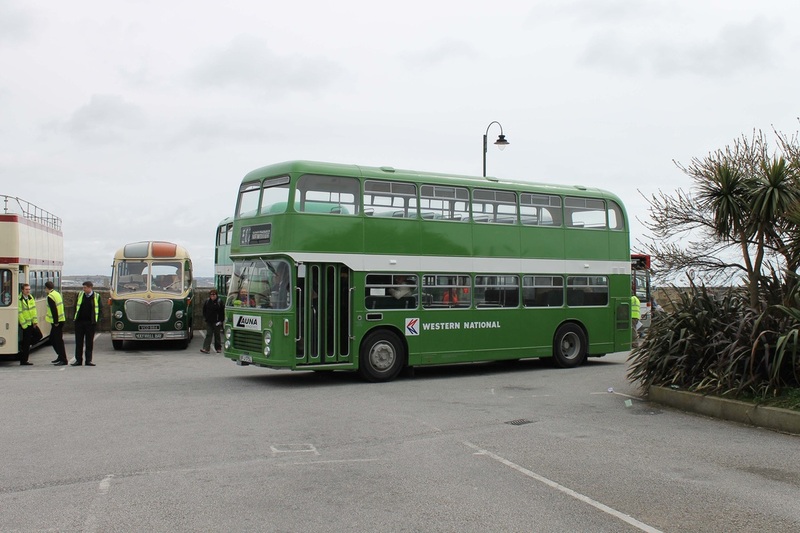 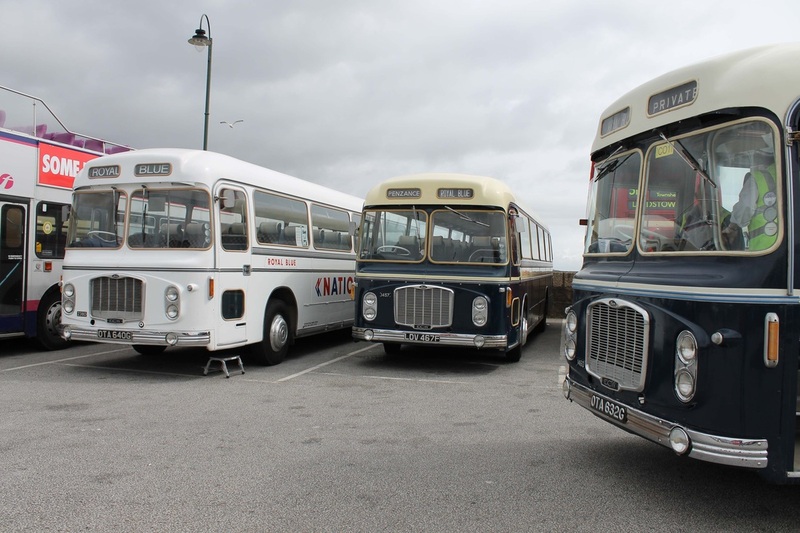 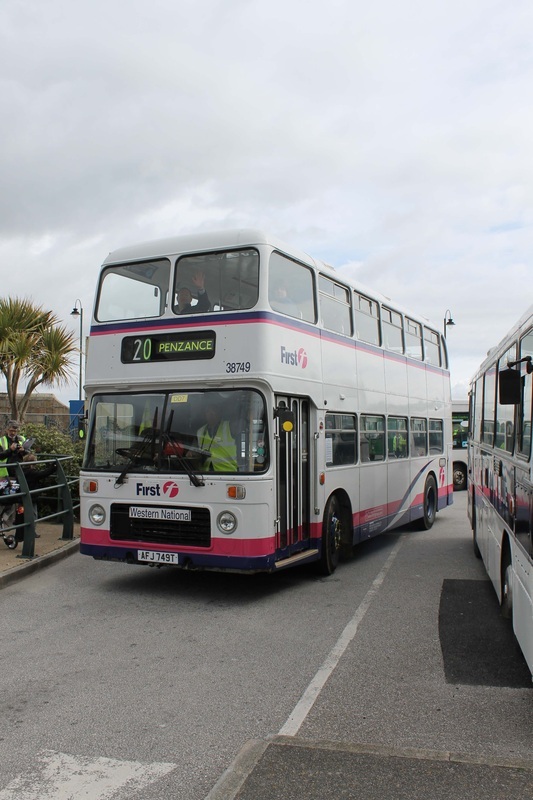 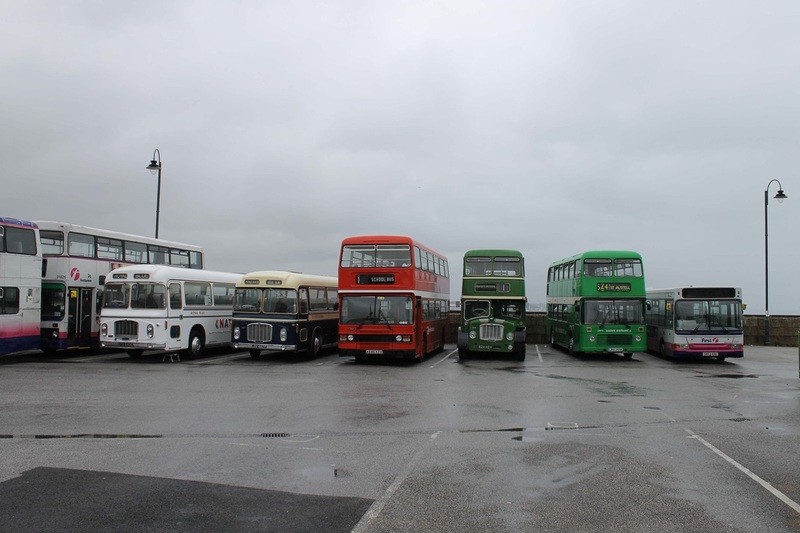 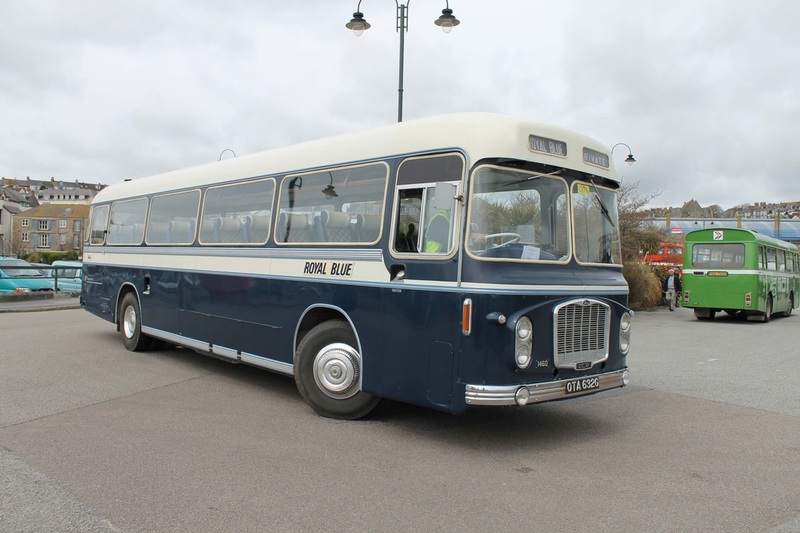 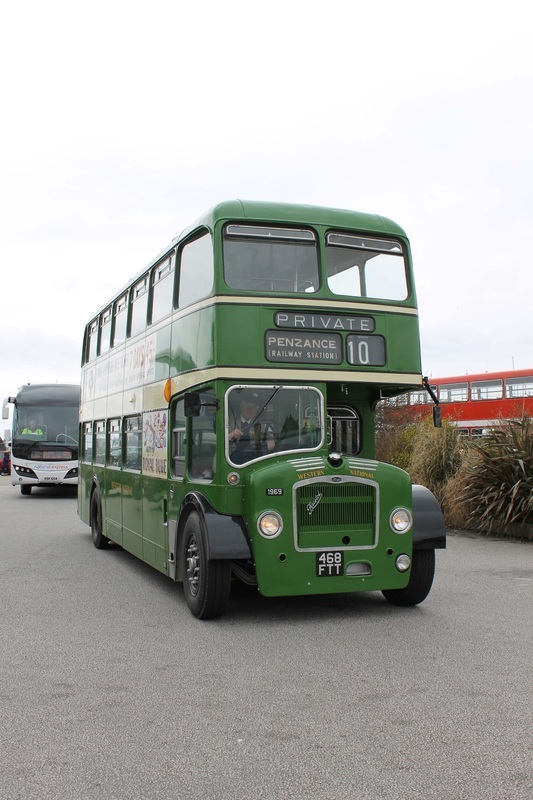 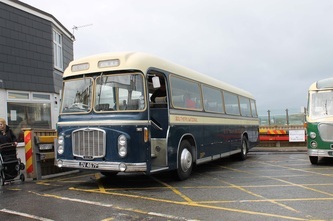 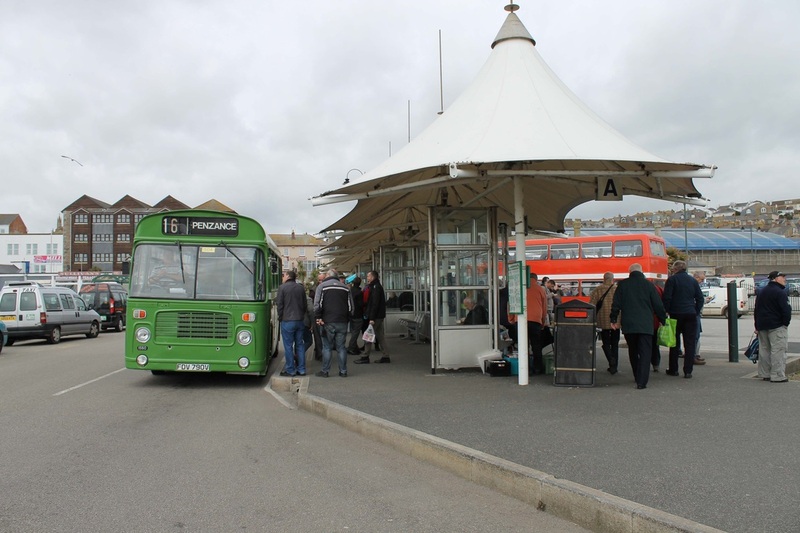 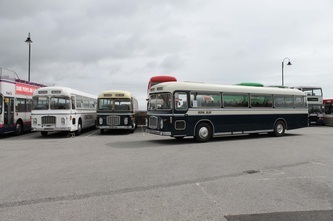 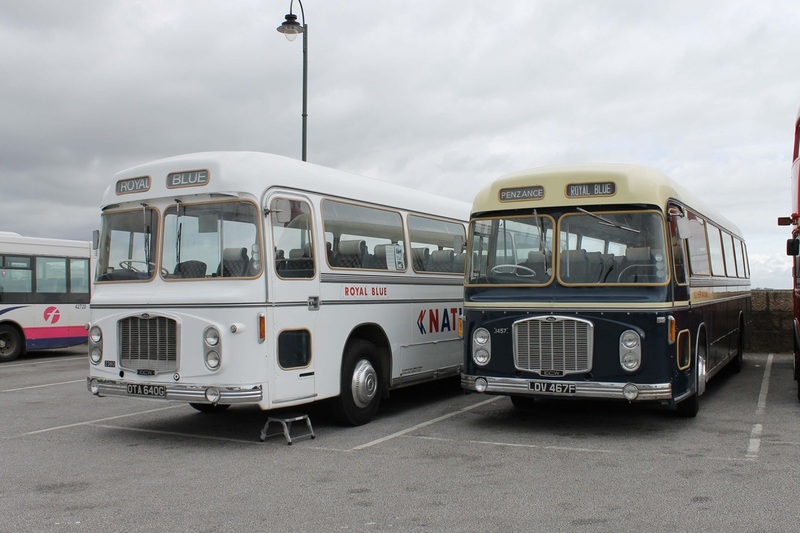 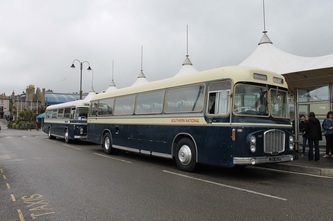 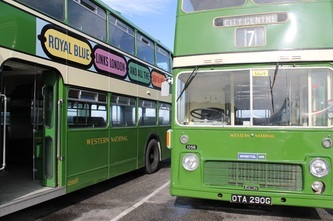 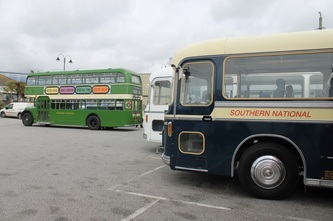 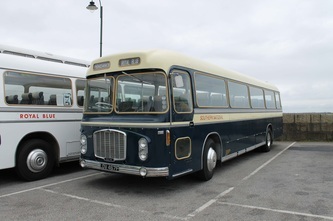 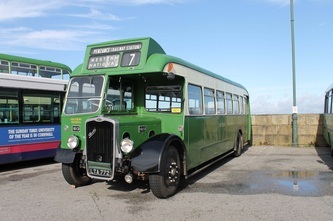 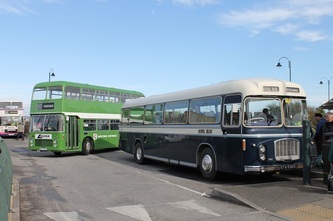 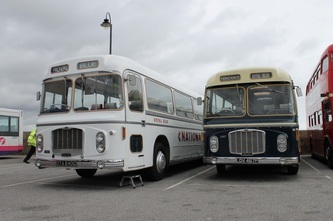 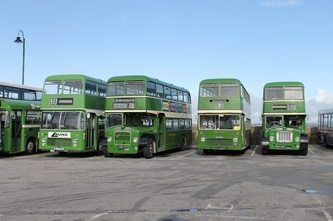 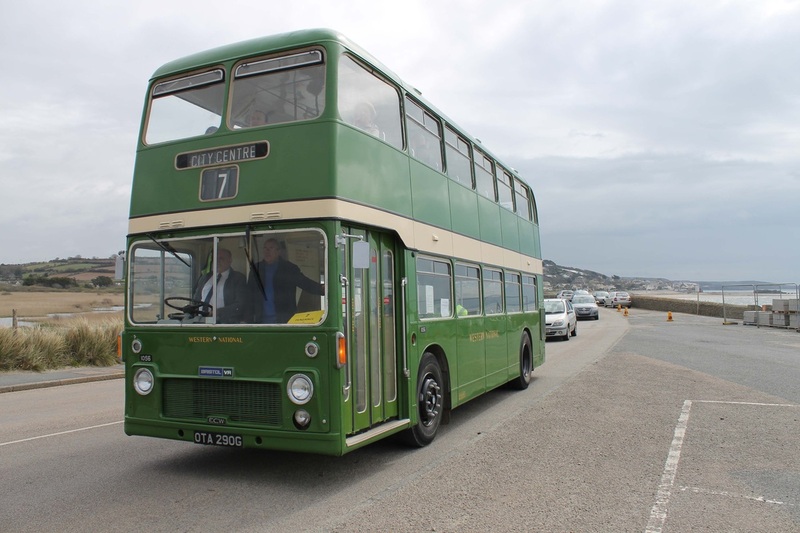 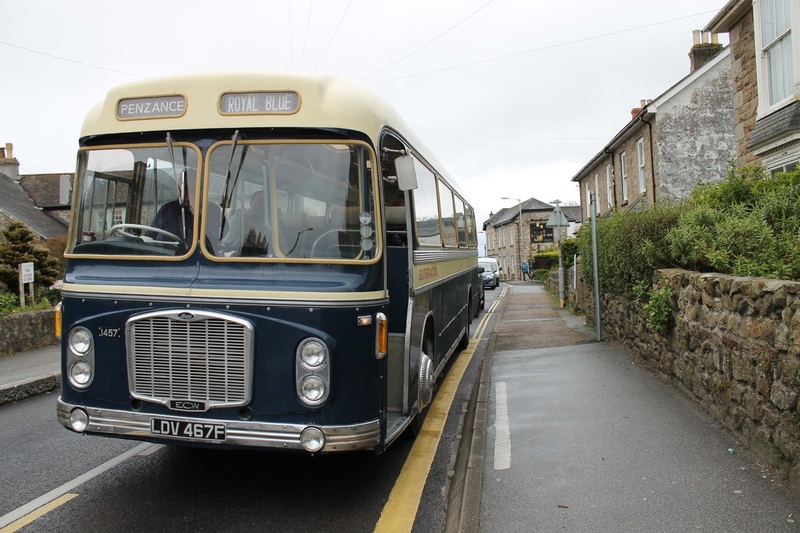 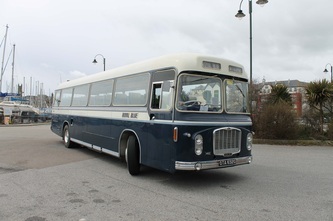 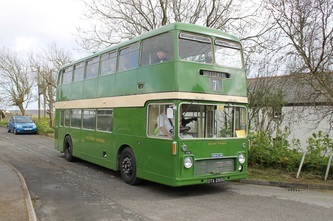 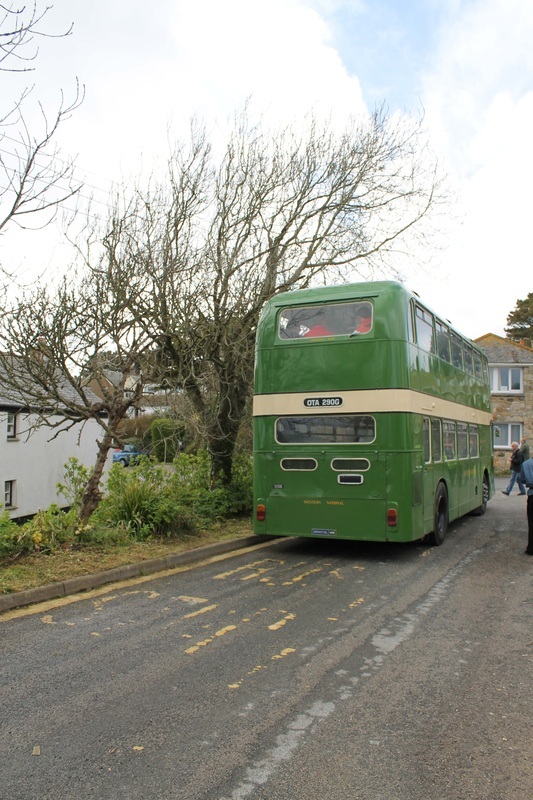 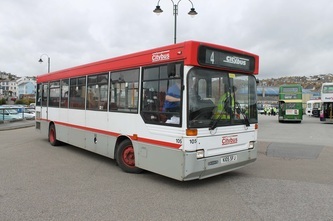 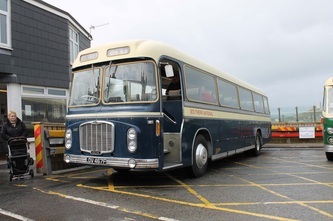 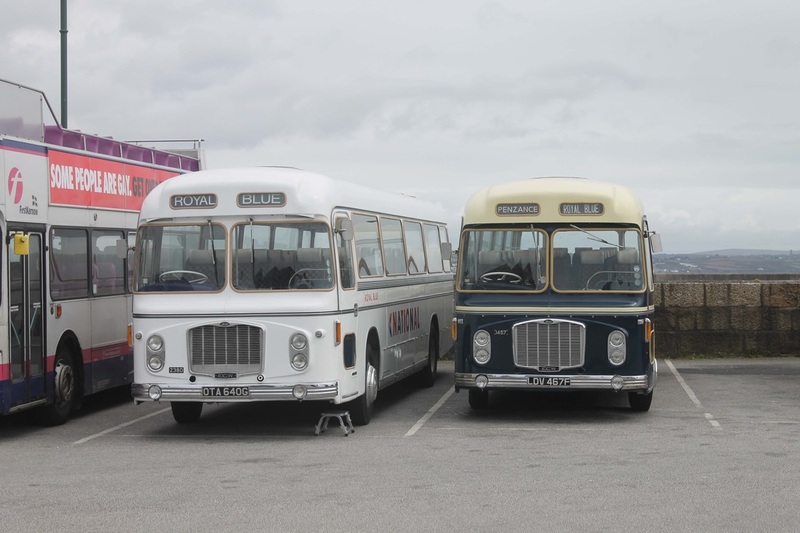 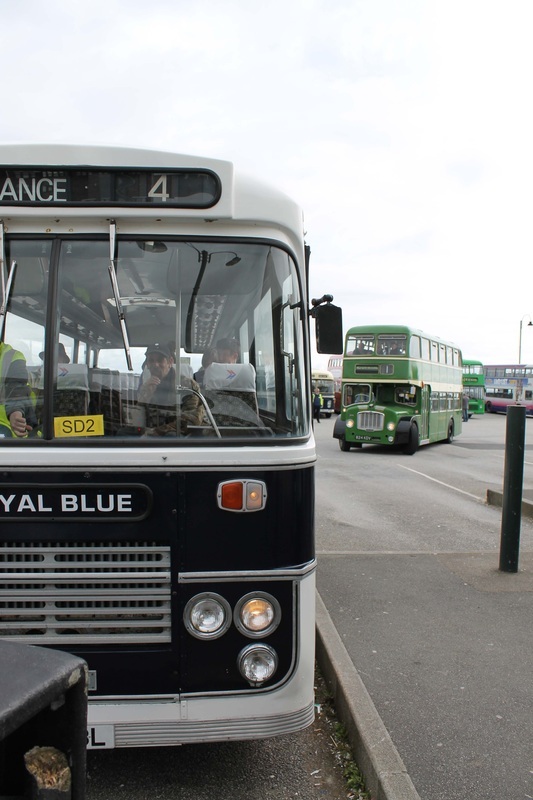 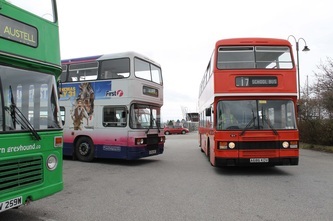 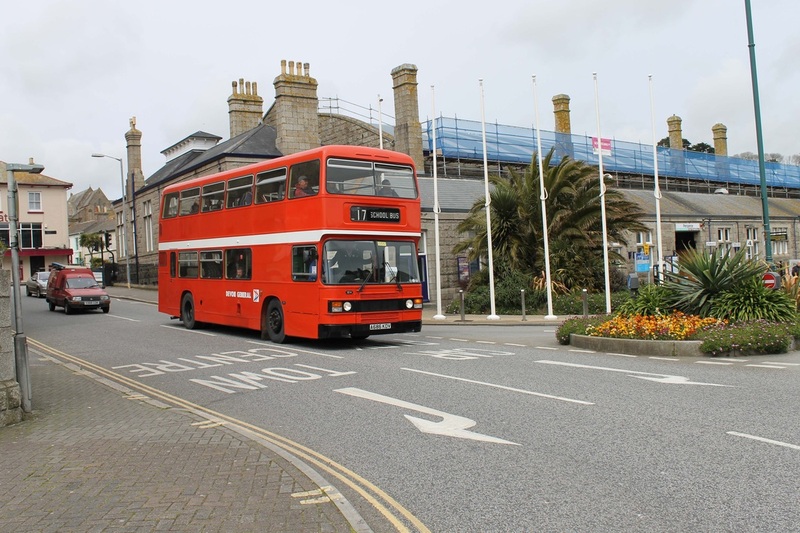 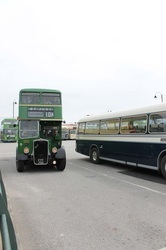 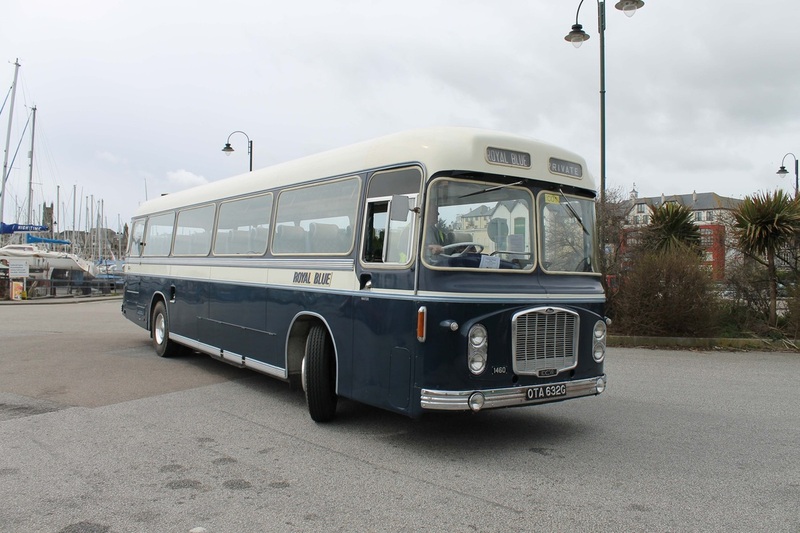 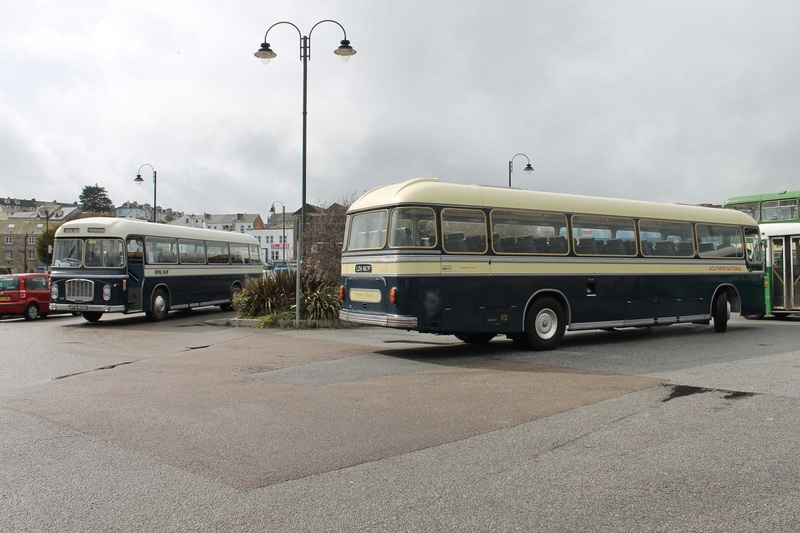 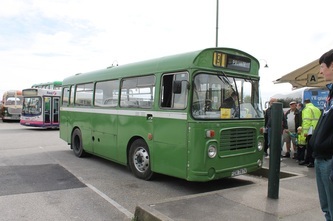 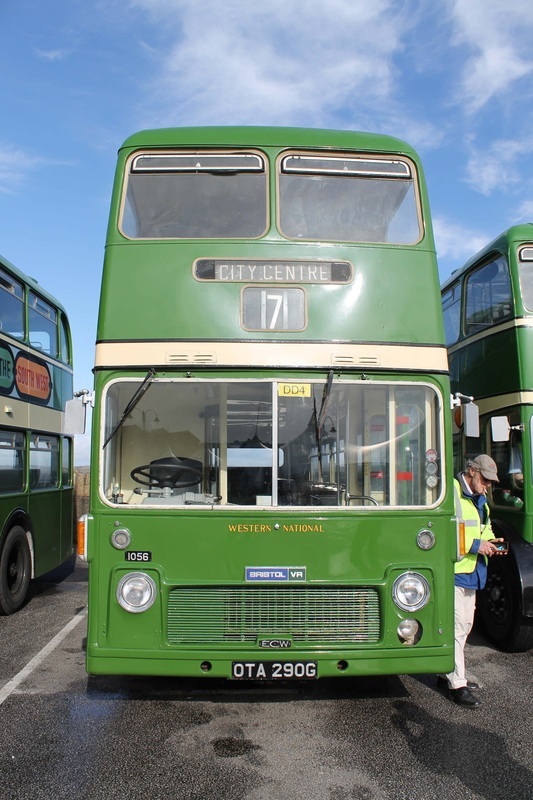 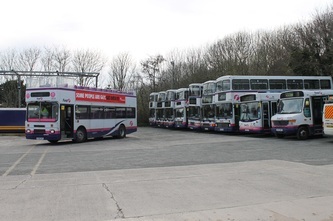 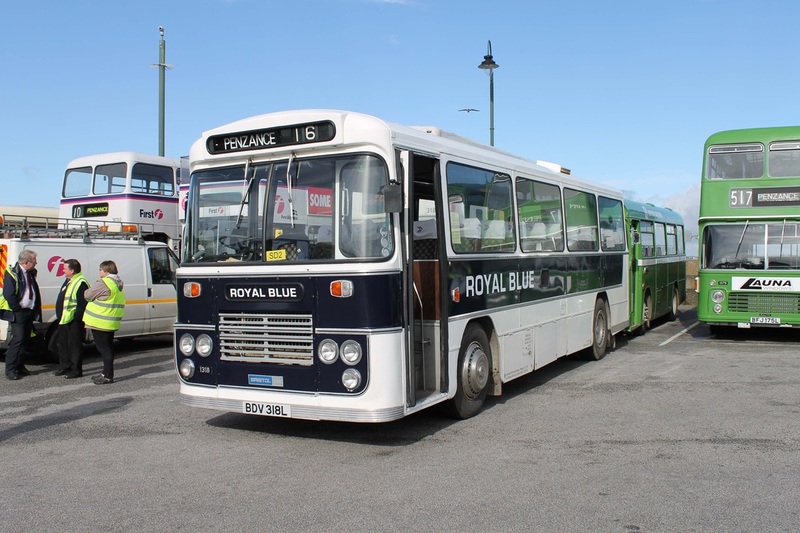 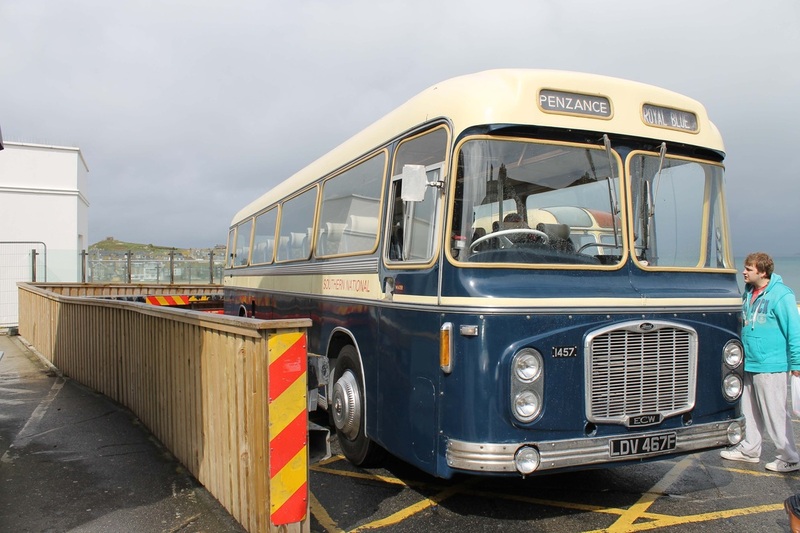 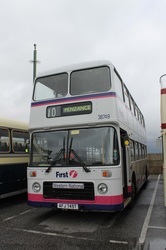 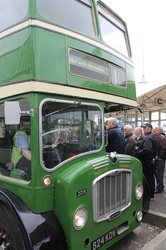 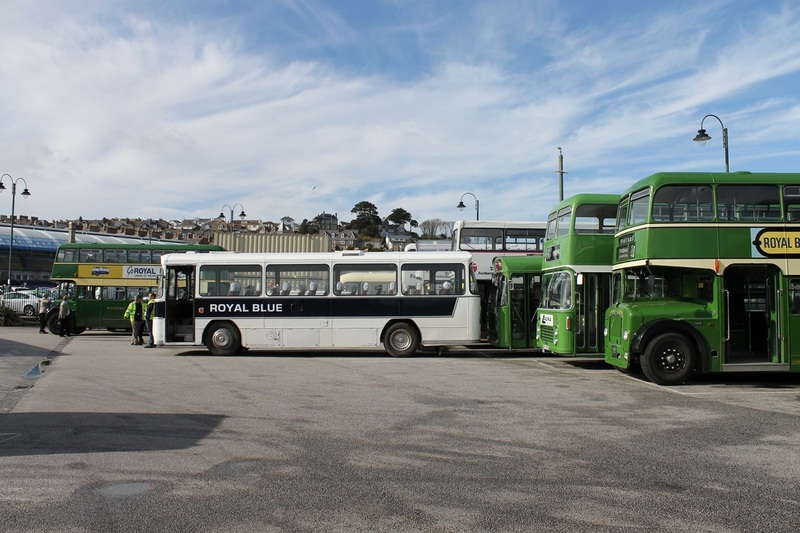 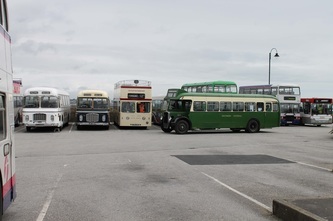 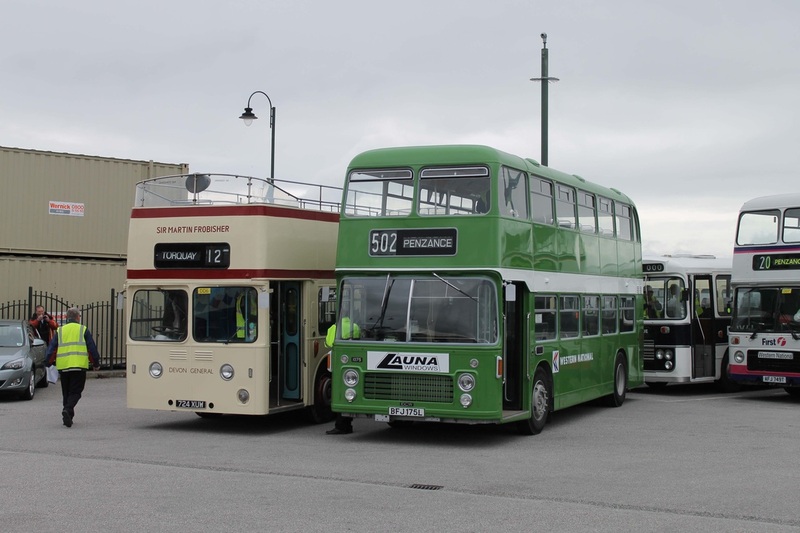 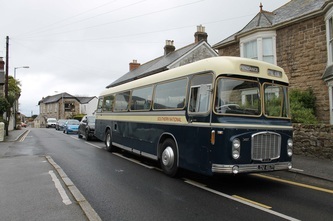 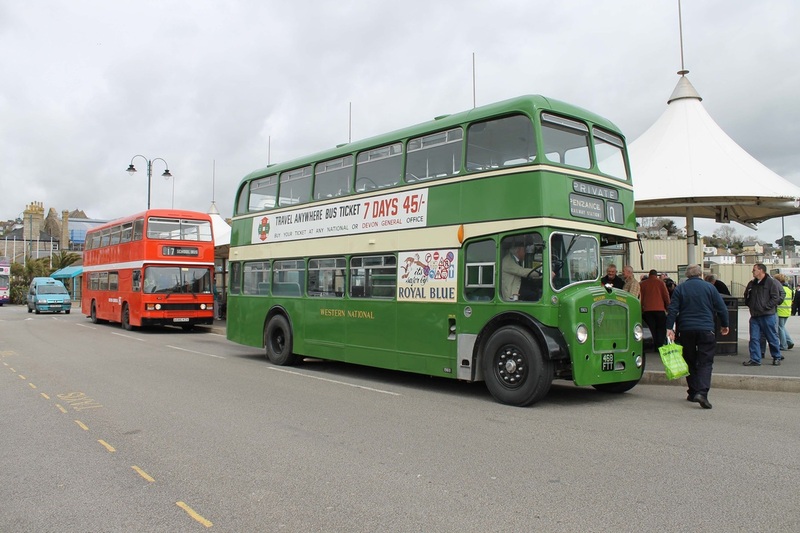 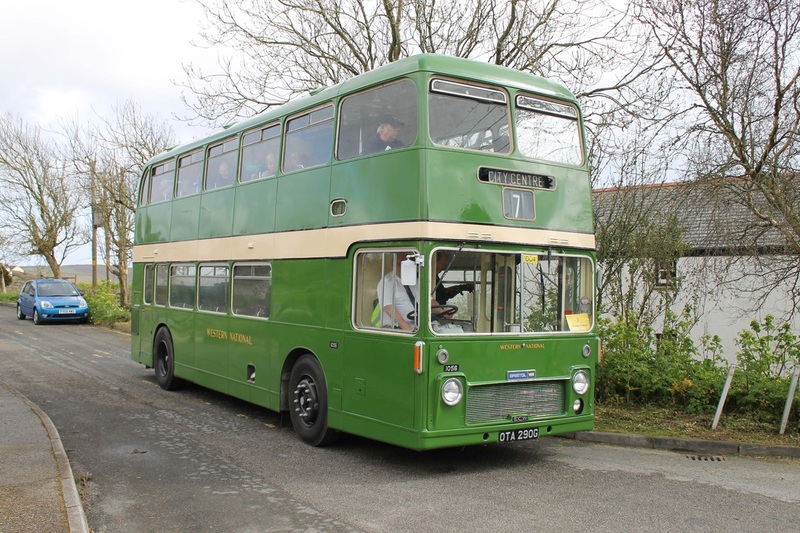 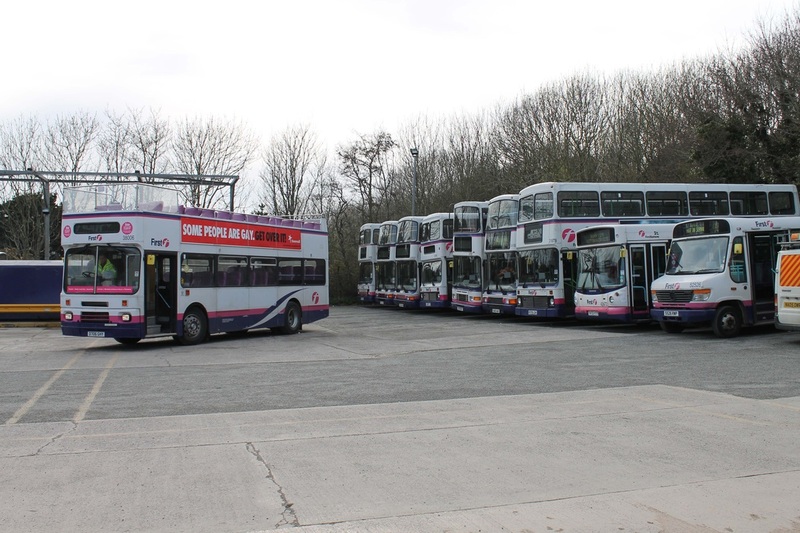 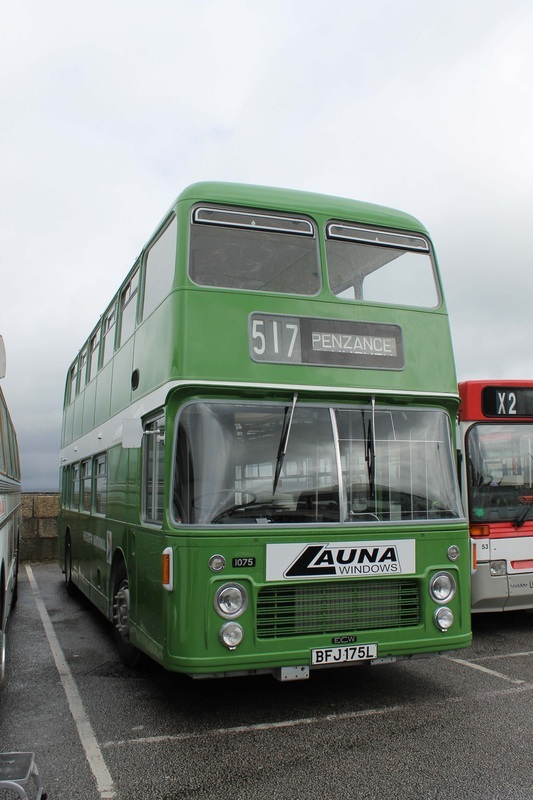 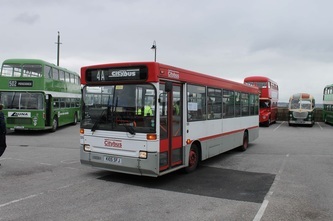 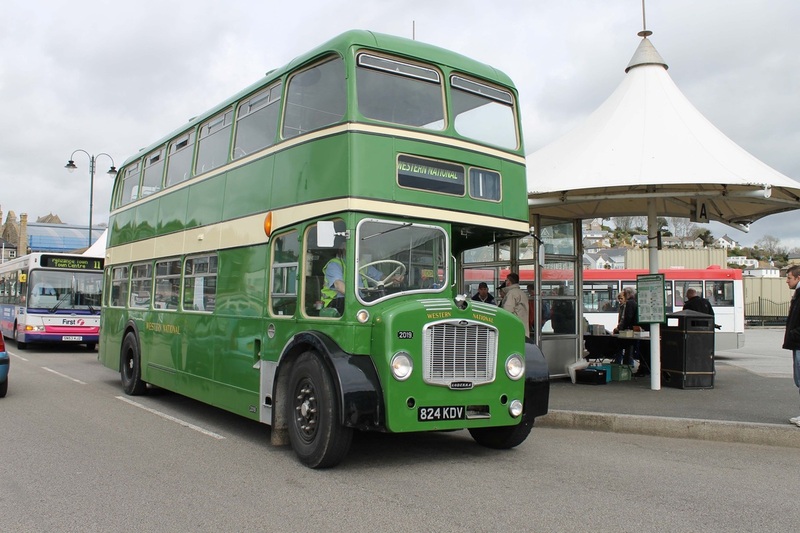 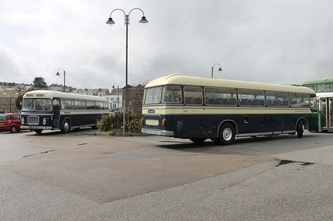 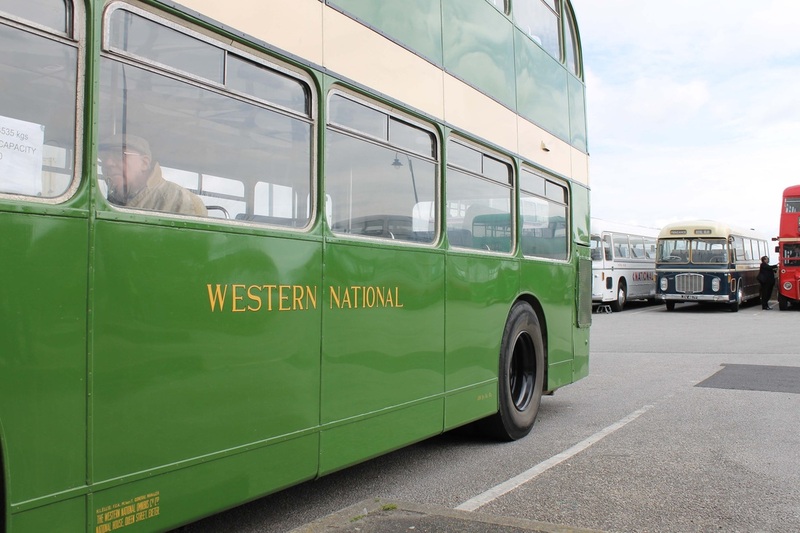 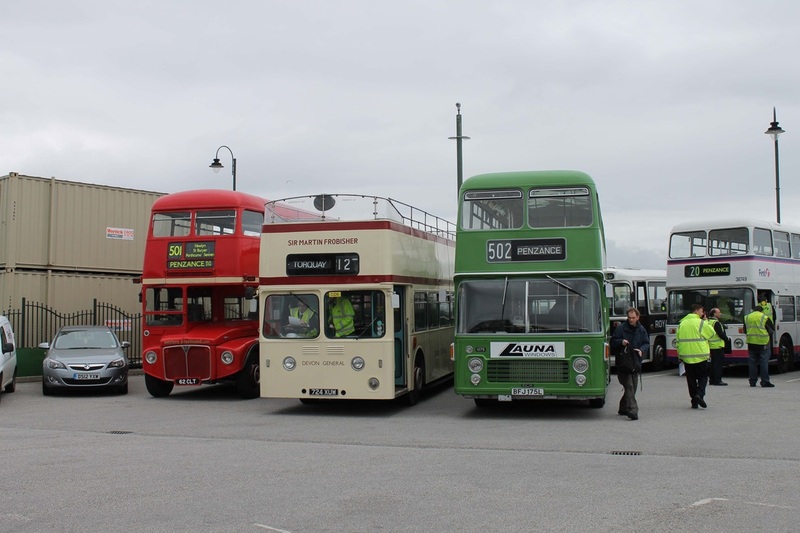 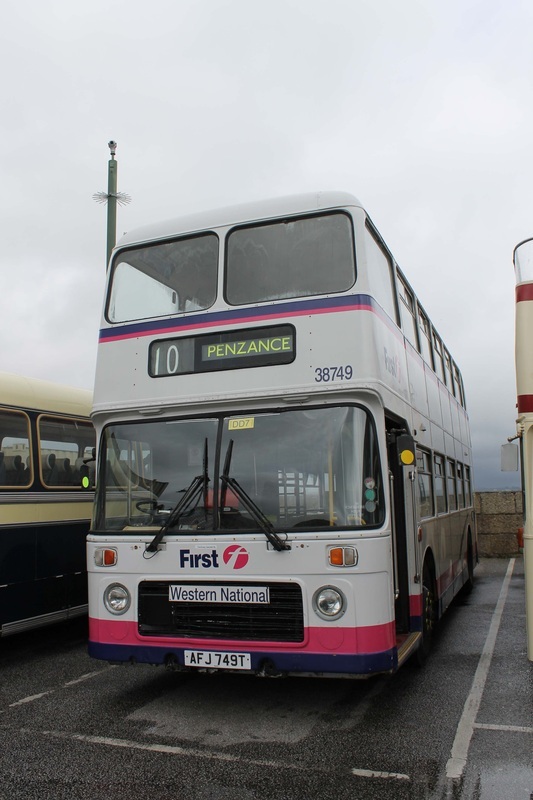 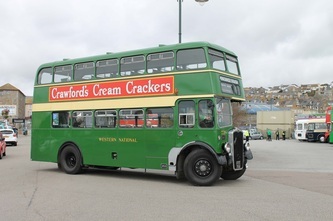 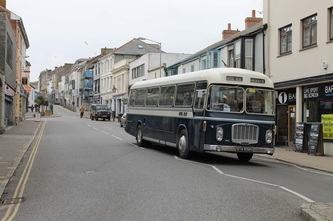 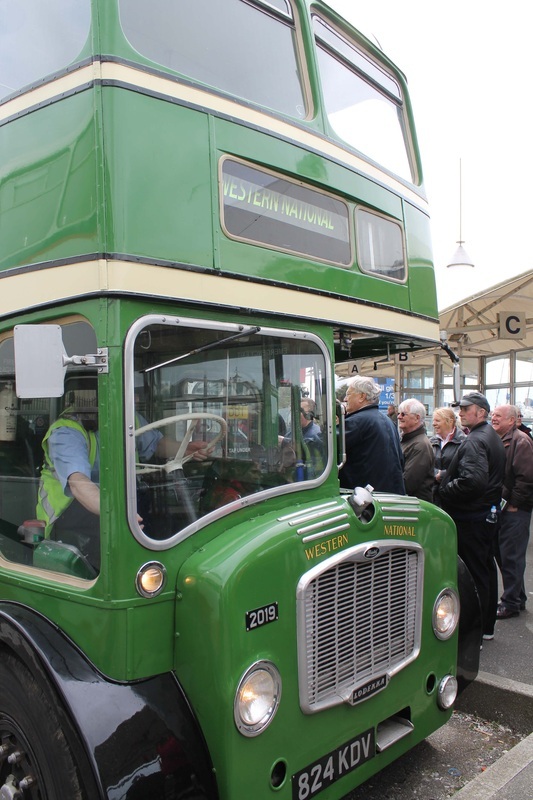 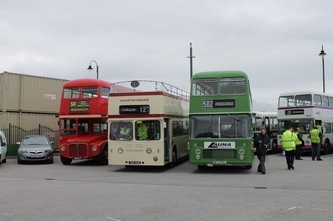 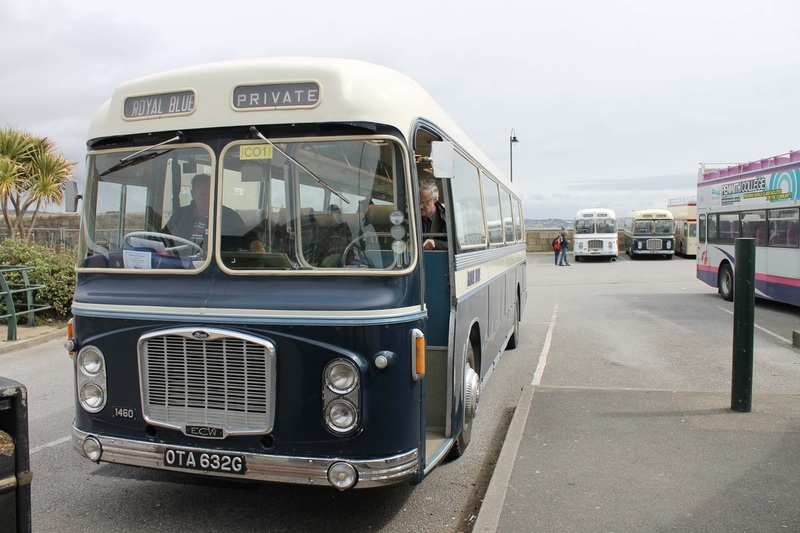 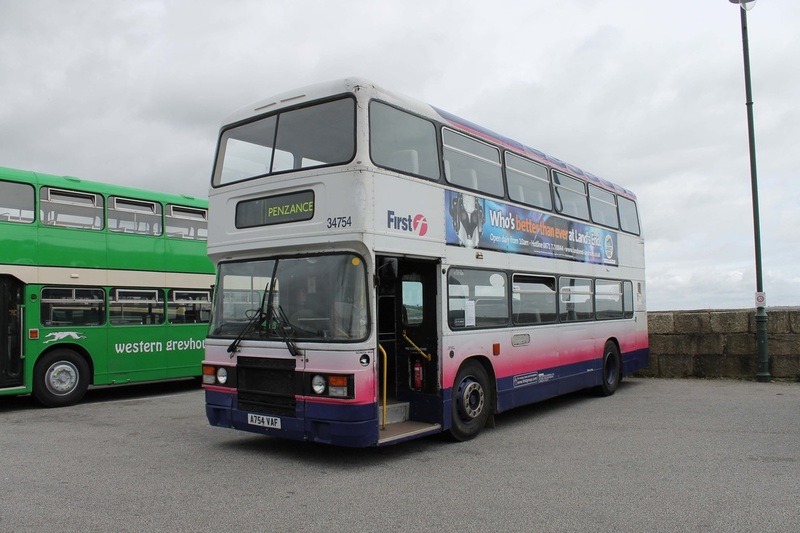 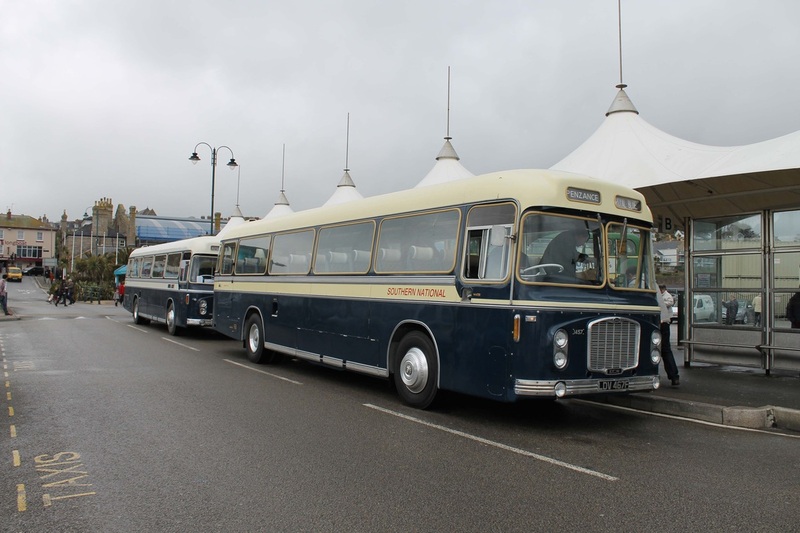 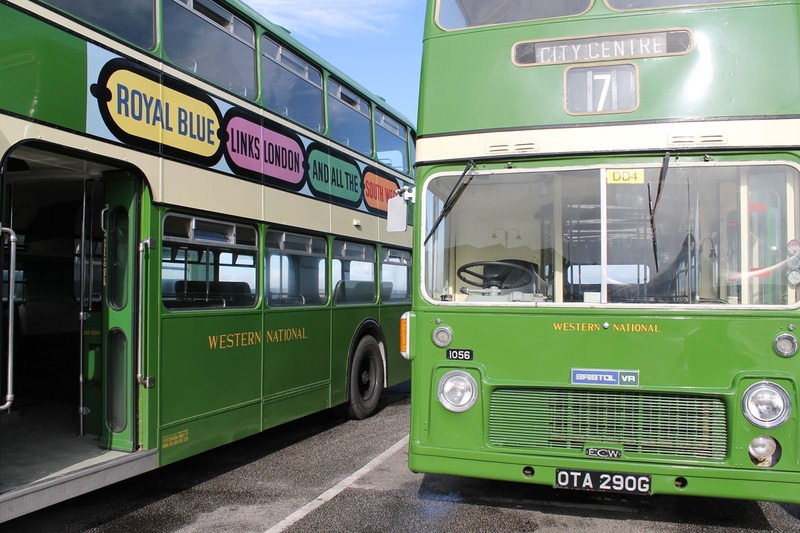 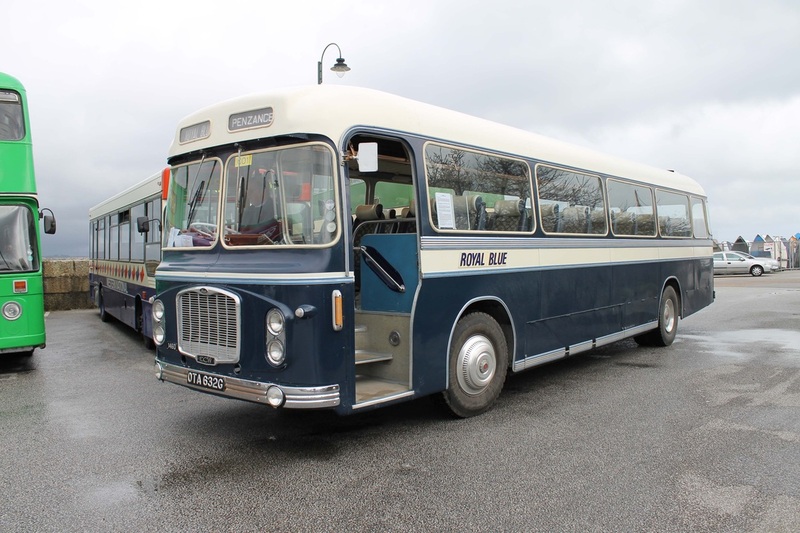 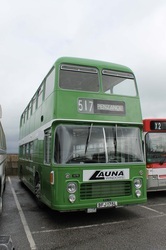 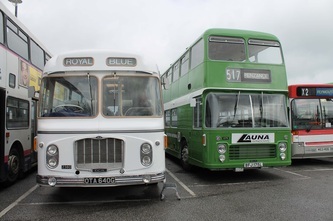 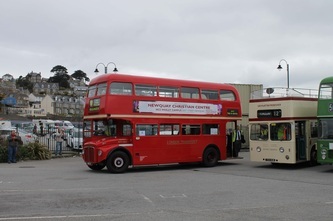 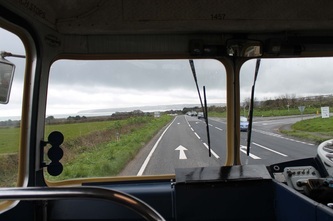 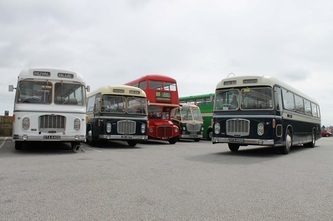 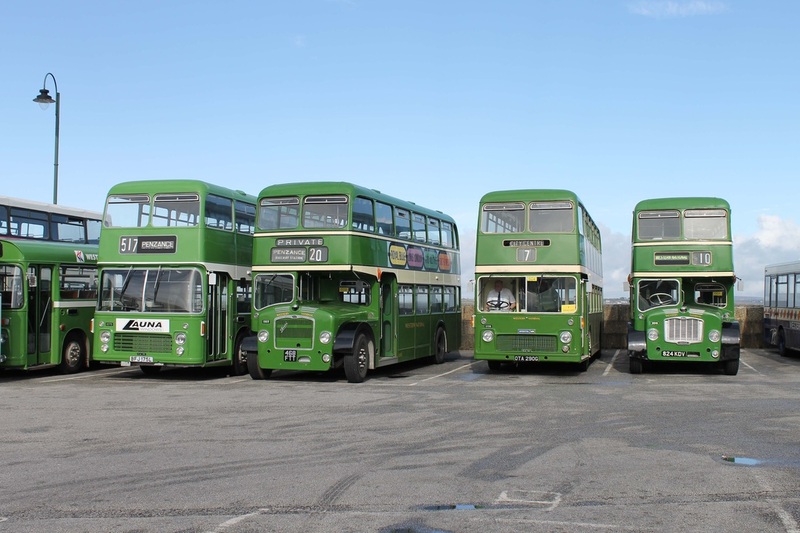 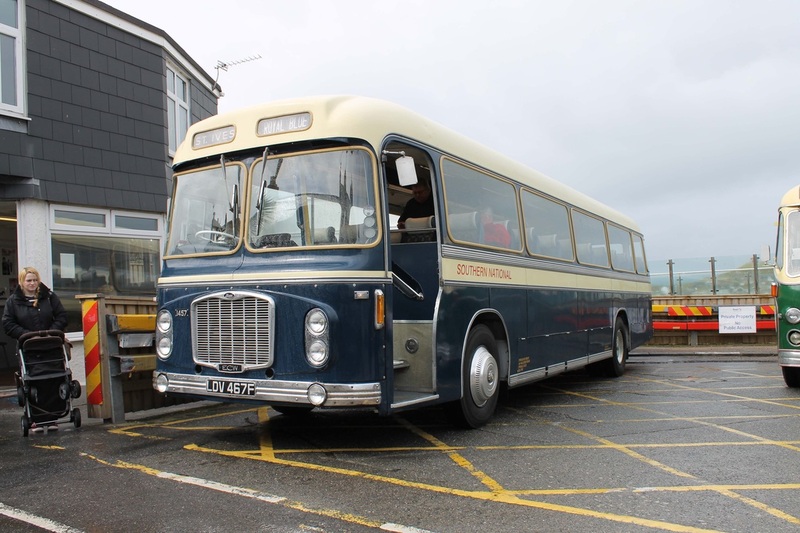 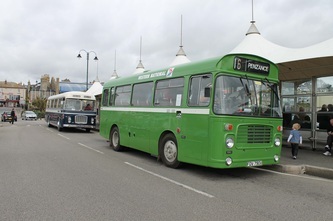 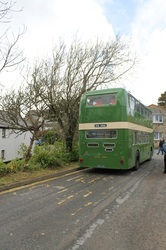 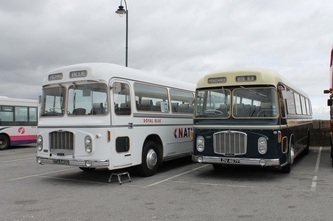 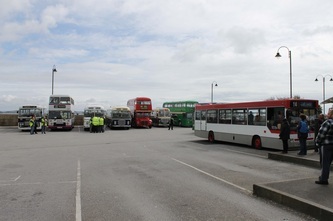 Many different era's were covered by Bristol L's, K's, VR's, LH's and RE's but also Leyland Olympians, one or two Bedfords, an Atlantean and Routemaster! 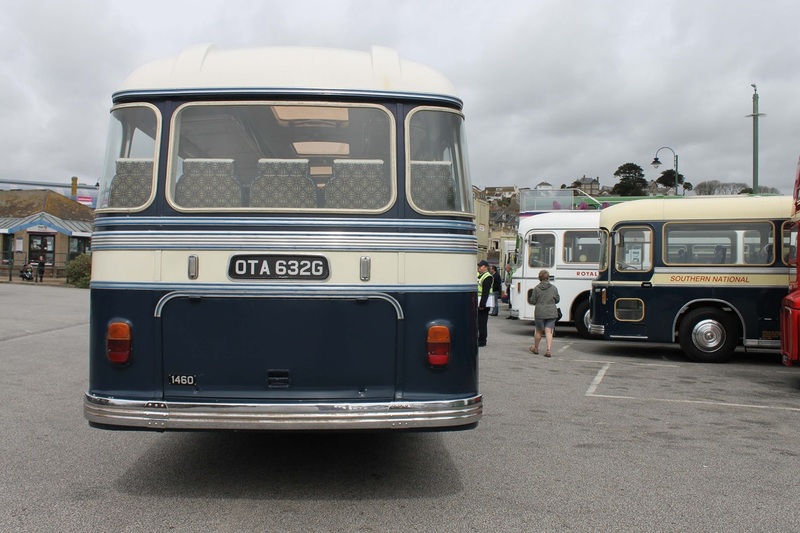 All in all a fantastic day was held and as you can see from the pictures below I got slightly carried away with snapping some shots! 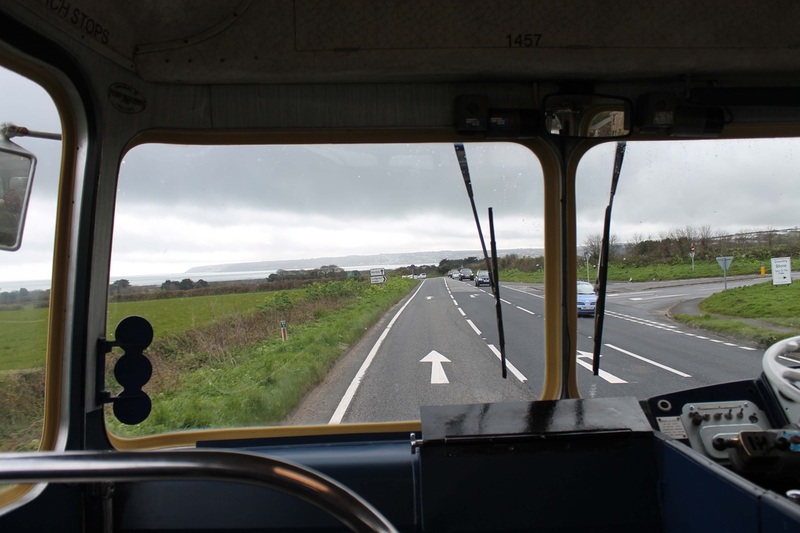 LDV performed perfectly when covering around 600 miles in the space of 4 days!